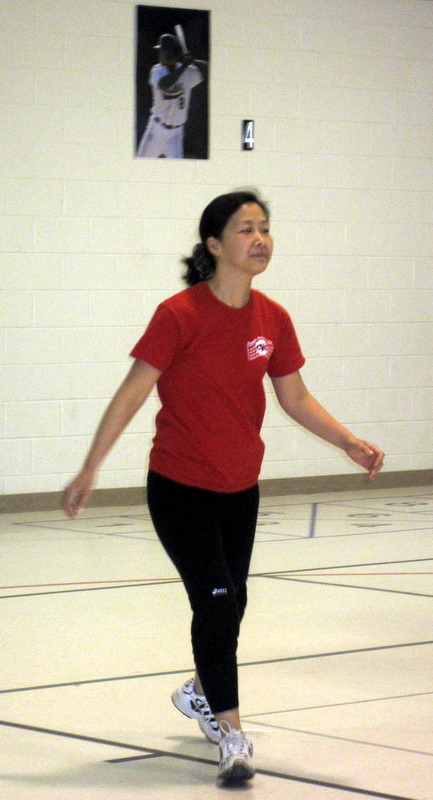 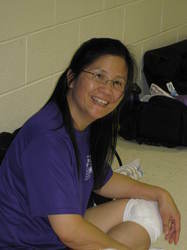 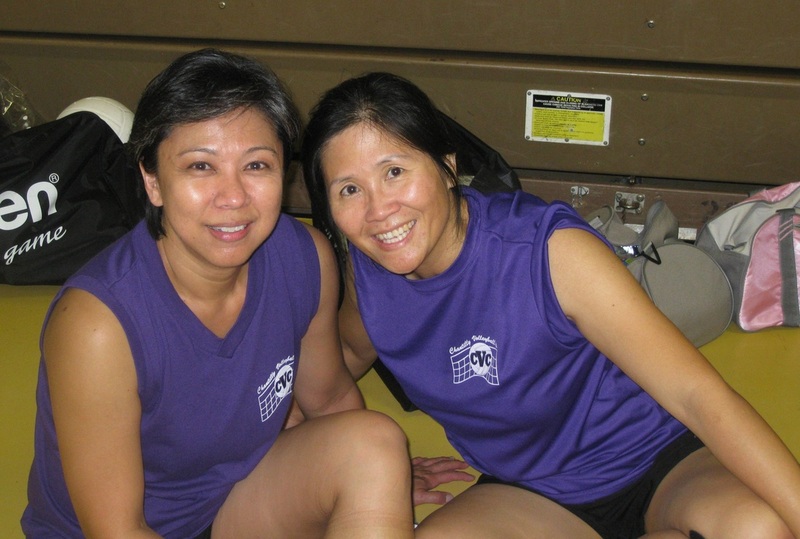 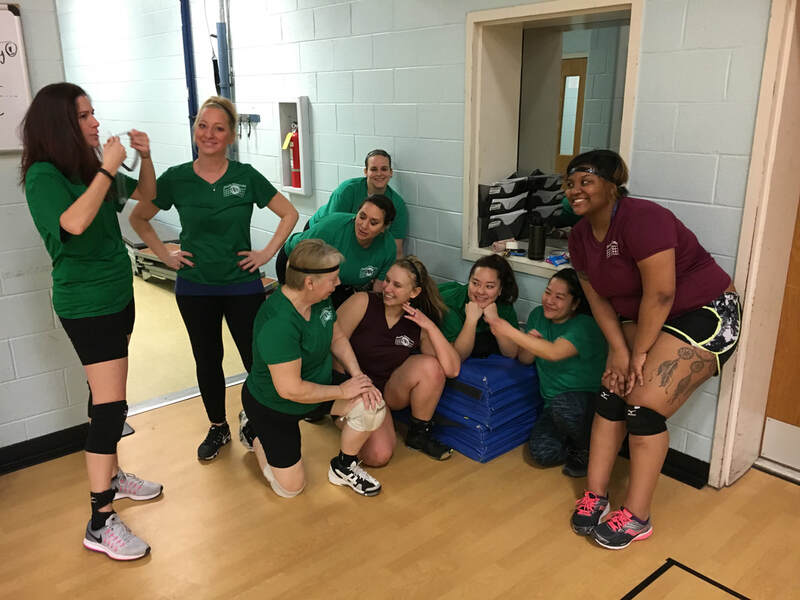 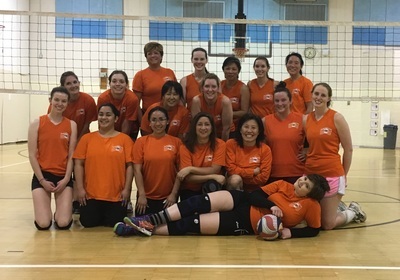 There are 5 levels of play in the women's group: A - Division 1 and Division 2 and B - Division 1 and Division 2 and practice only. A tryout is required for all levels of play. 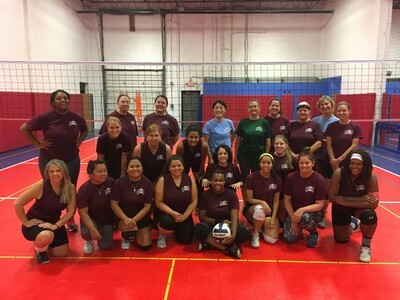 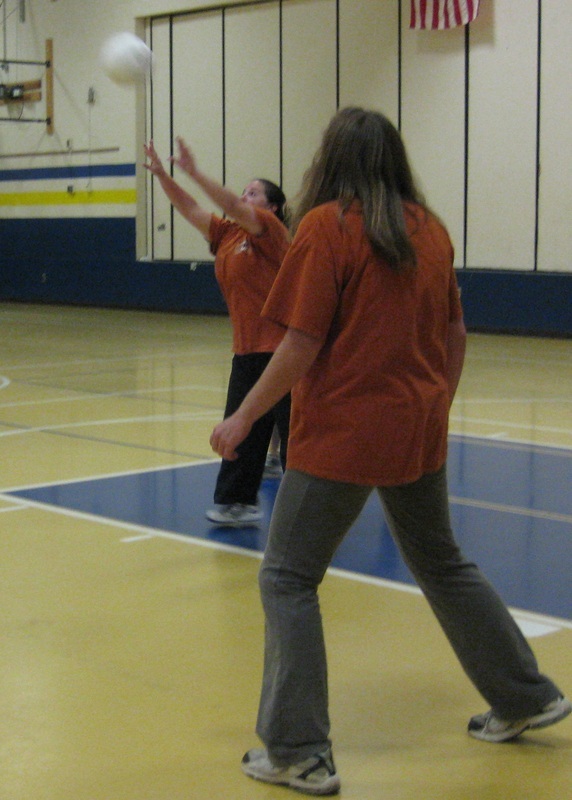 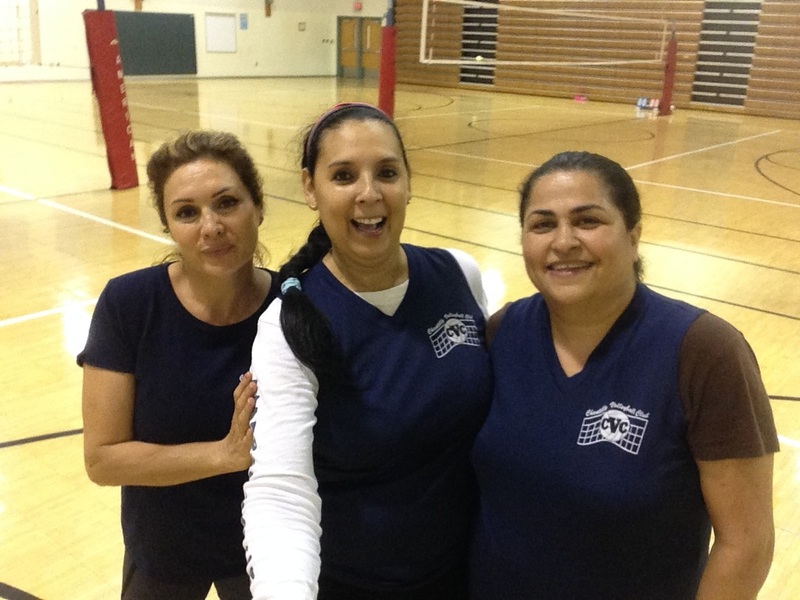 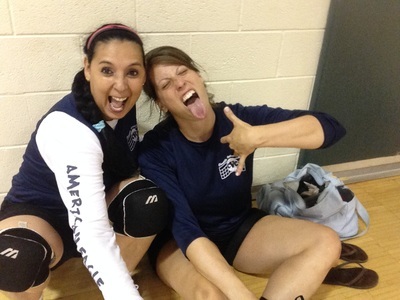 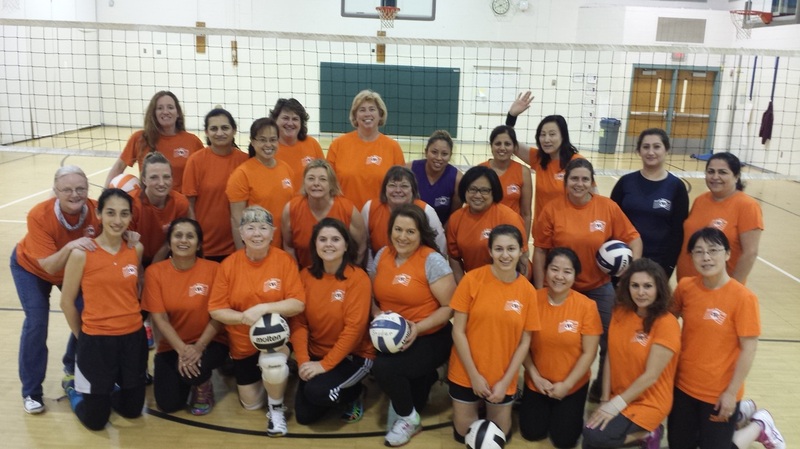 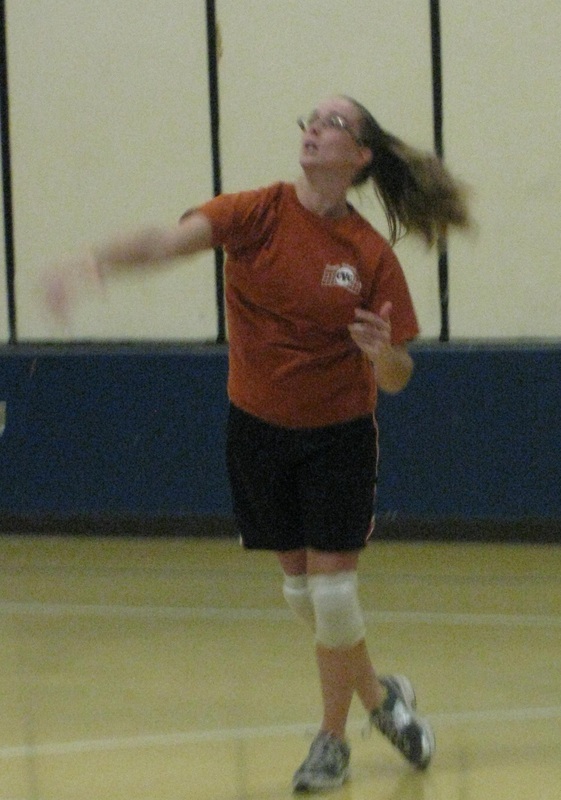 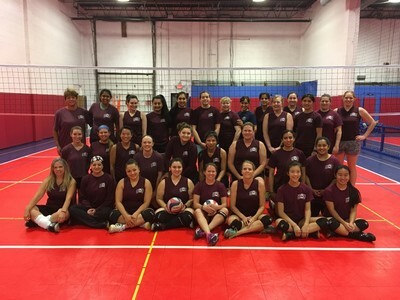 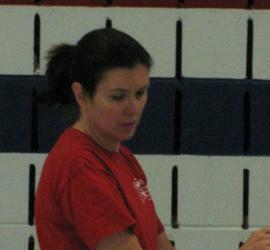 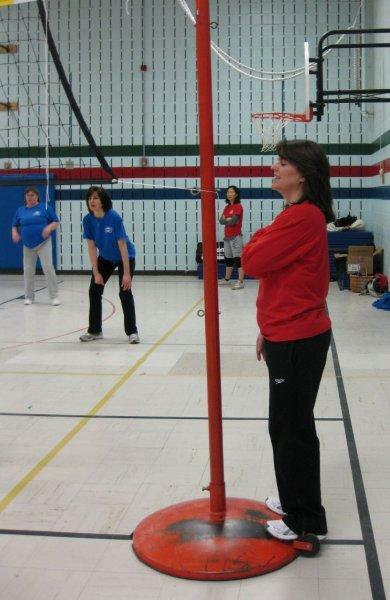 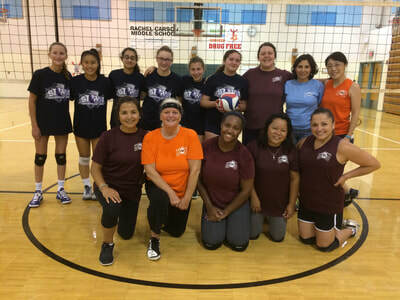 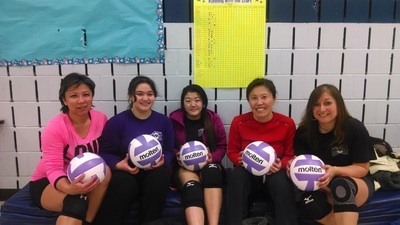 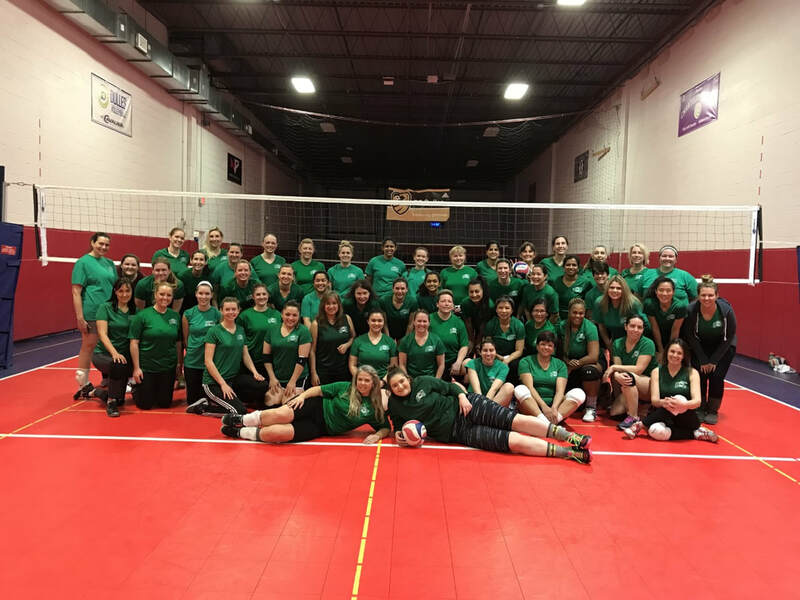 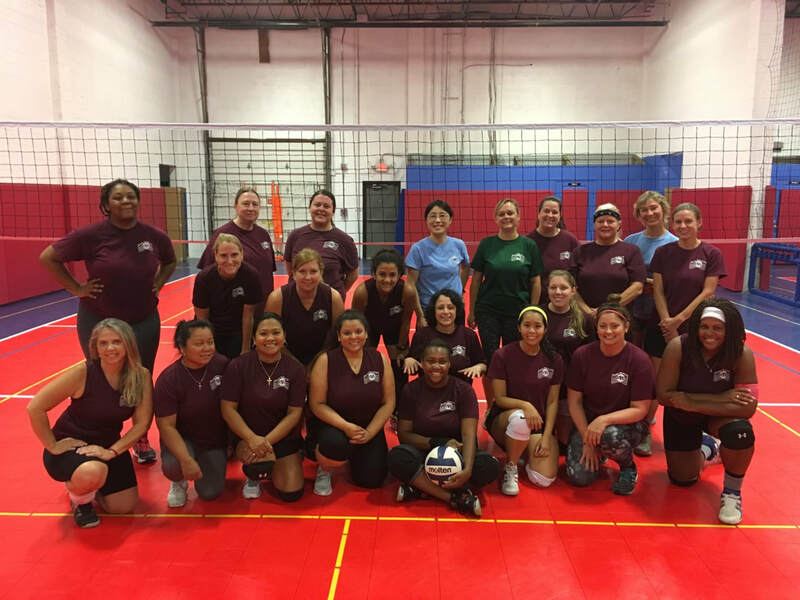 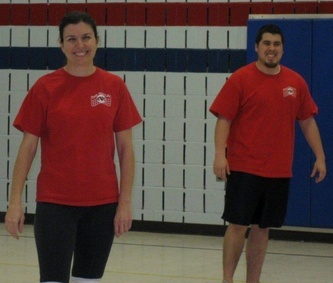 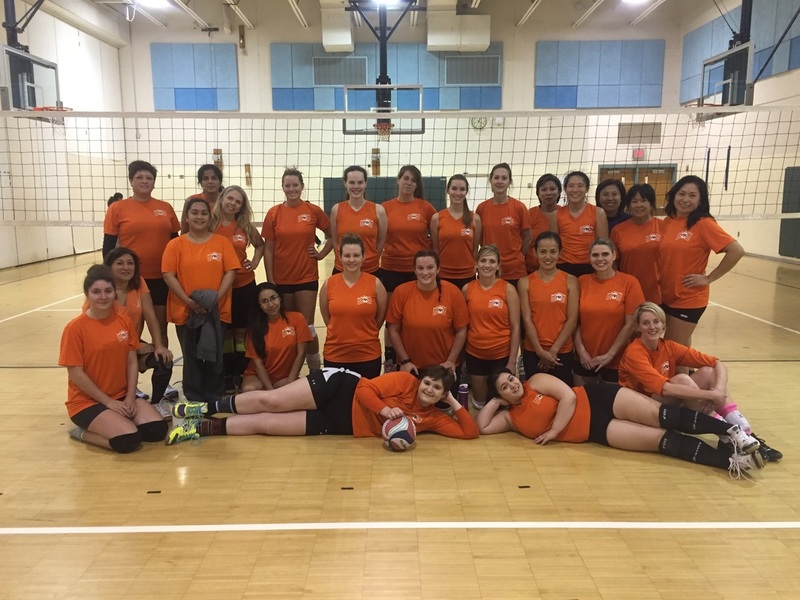 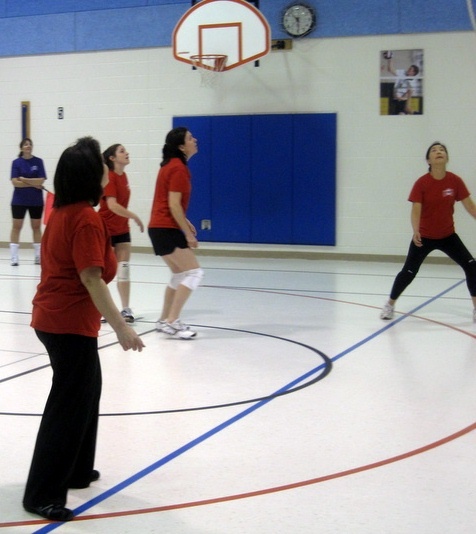 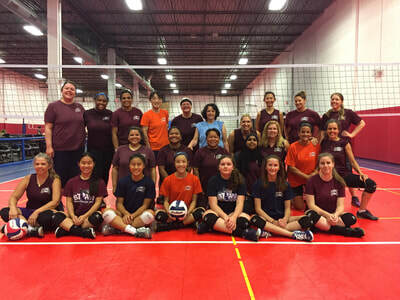 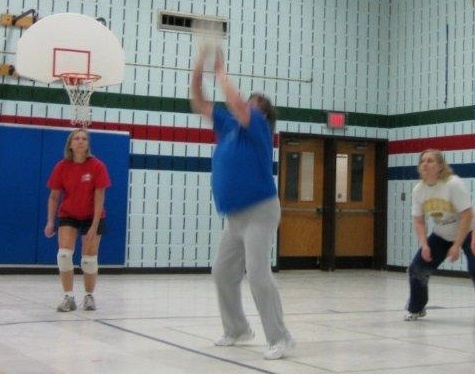 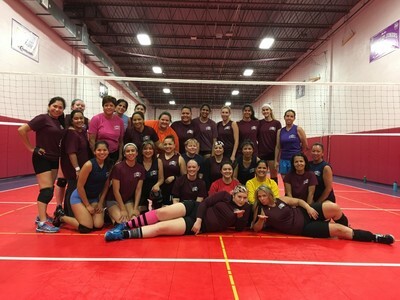 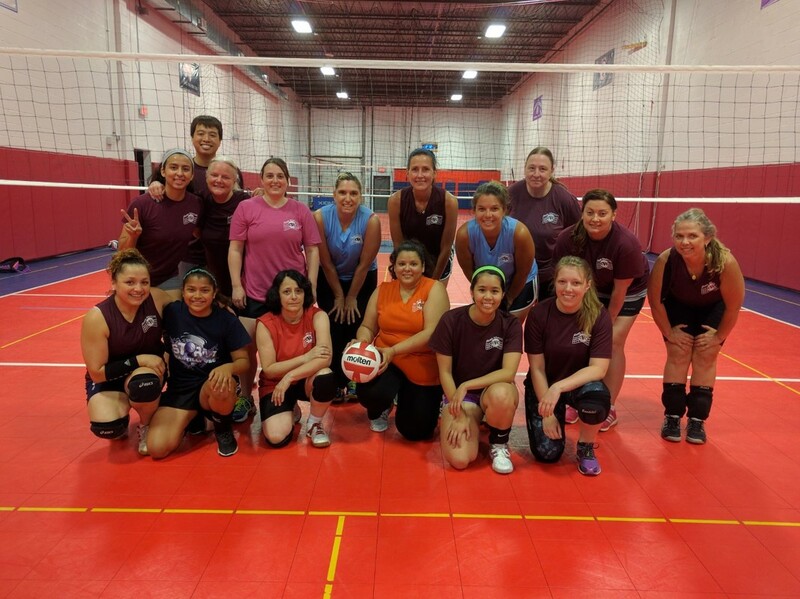 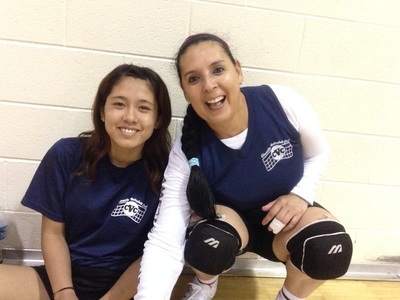 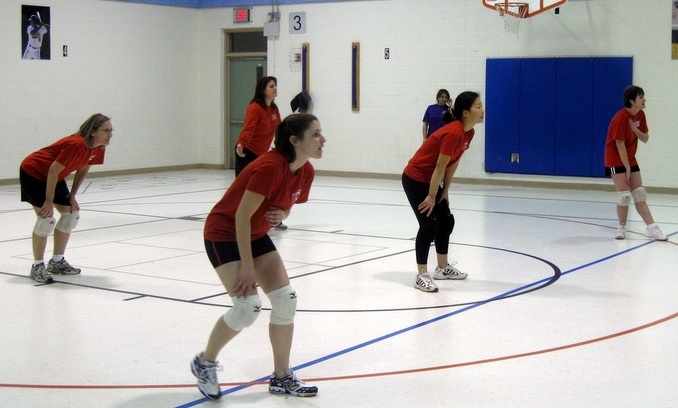 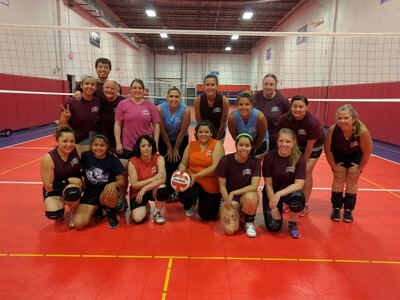 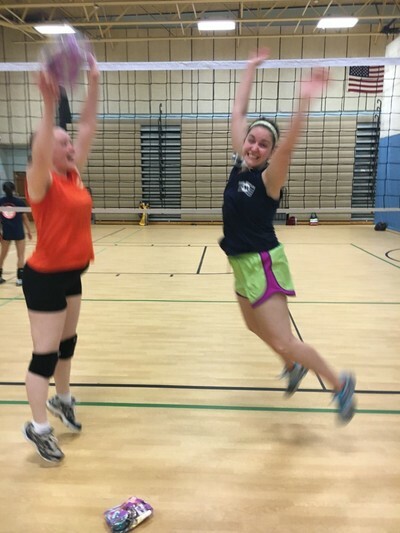 Practices are offered for players new to volleyball or anyone looking to improve their skills. 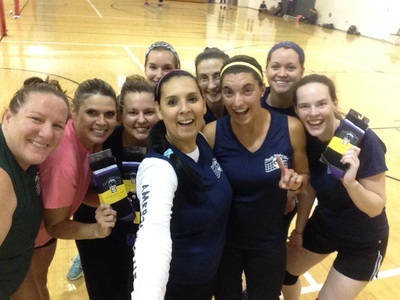 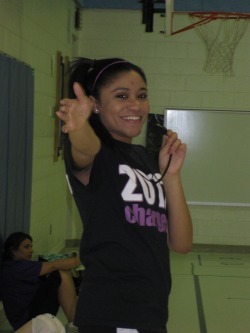 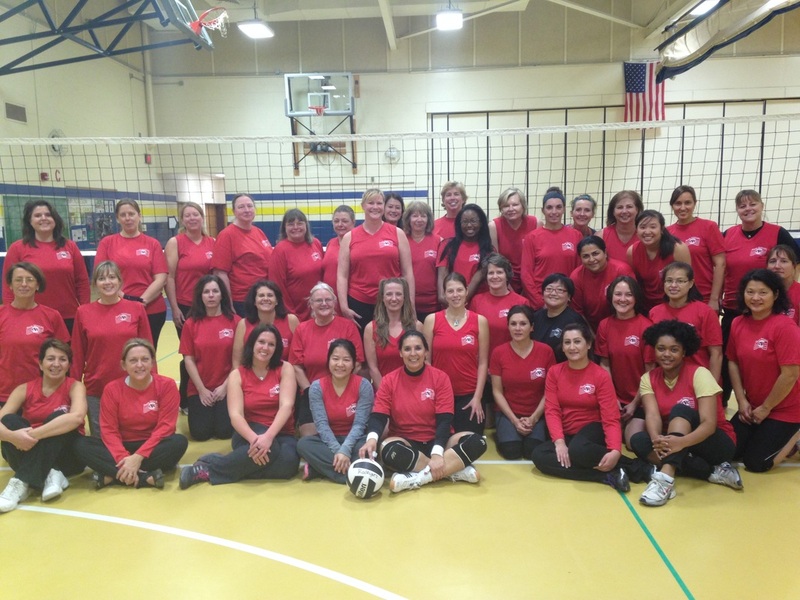 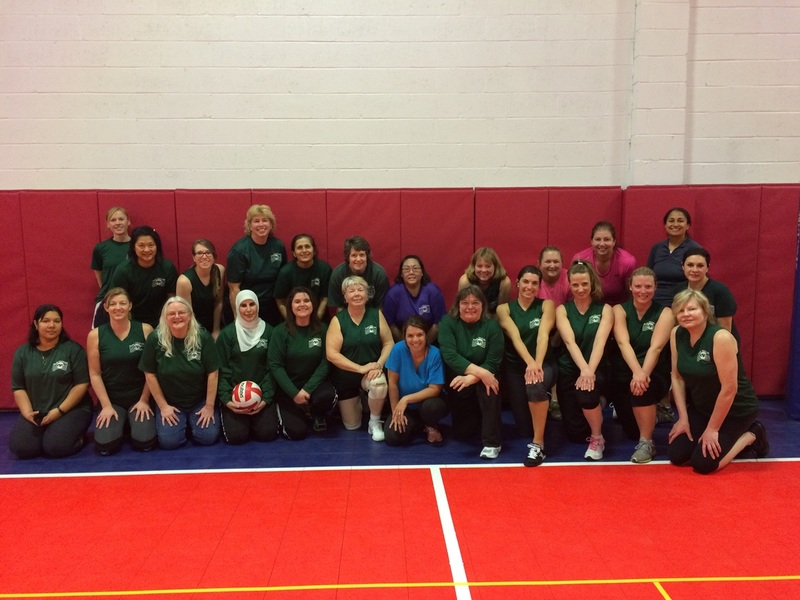 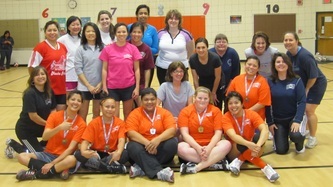 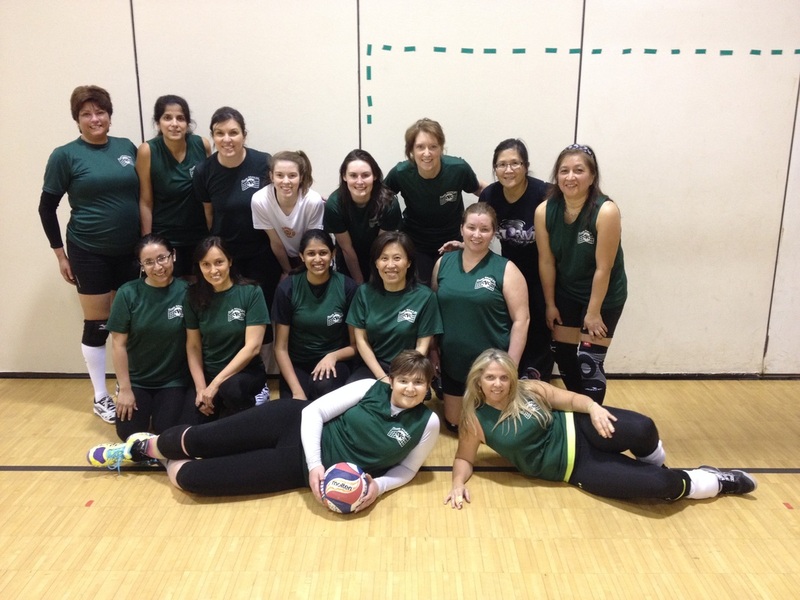 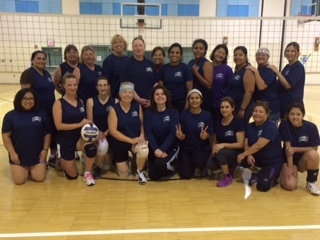 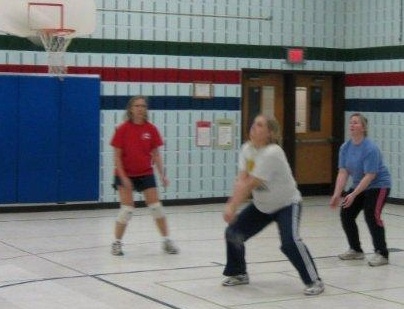 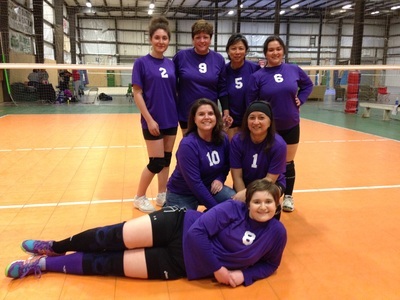 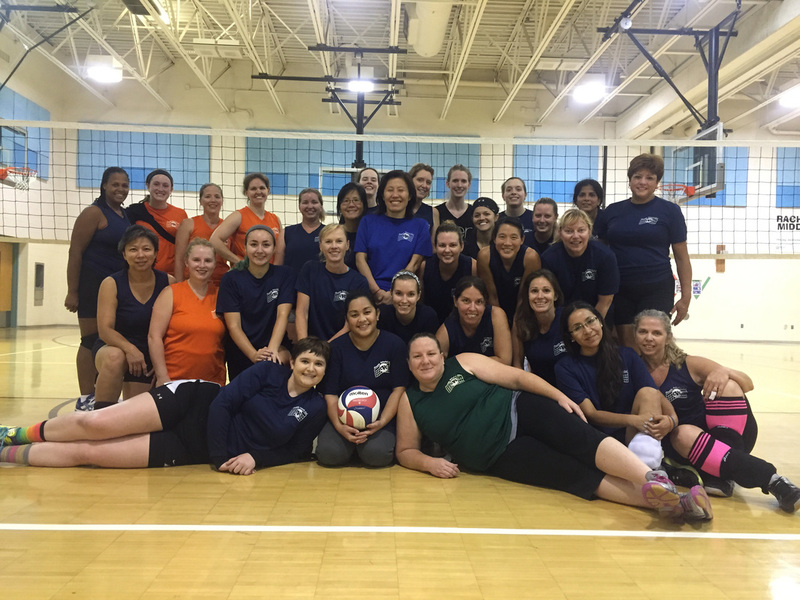 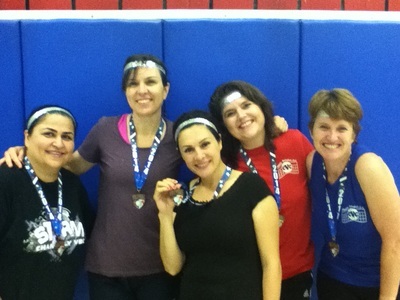 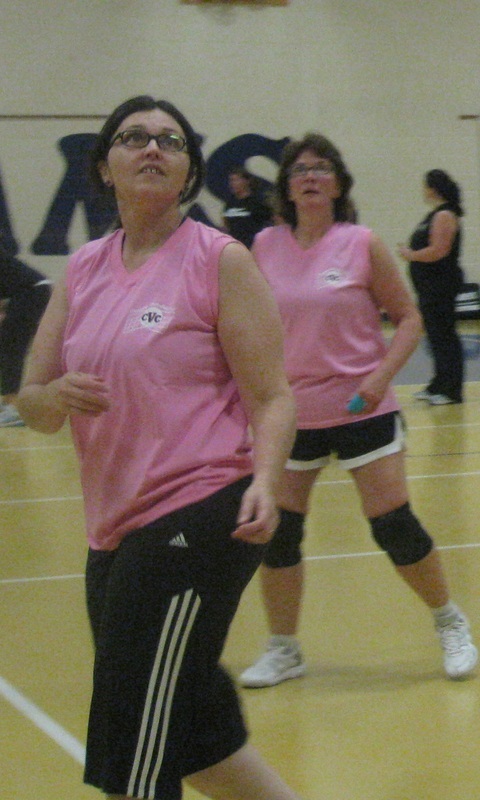 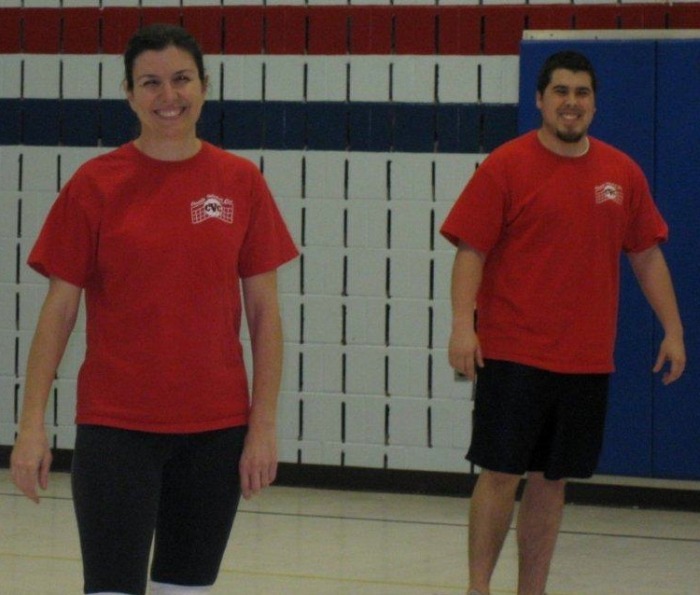 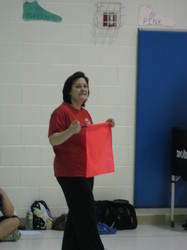 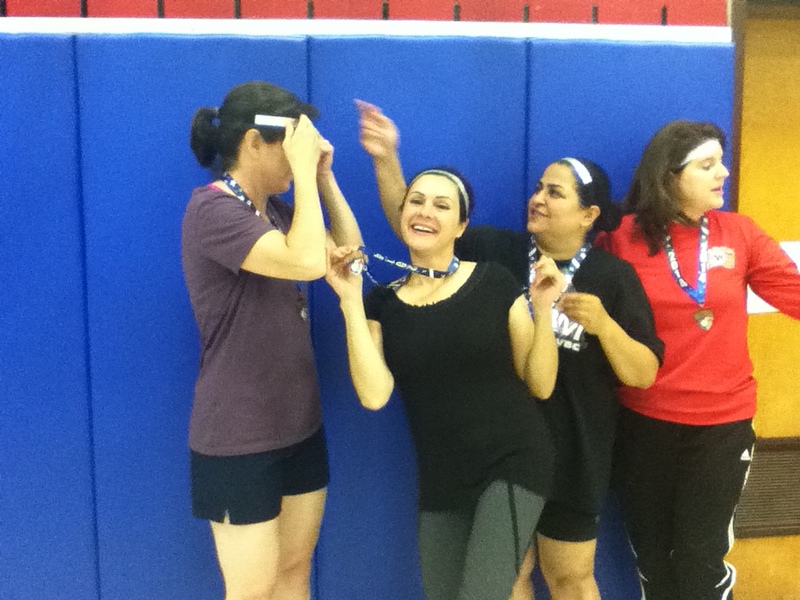 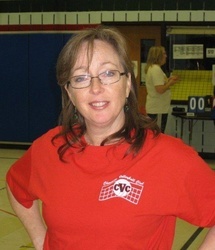 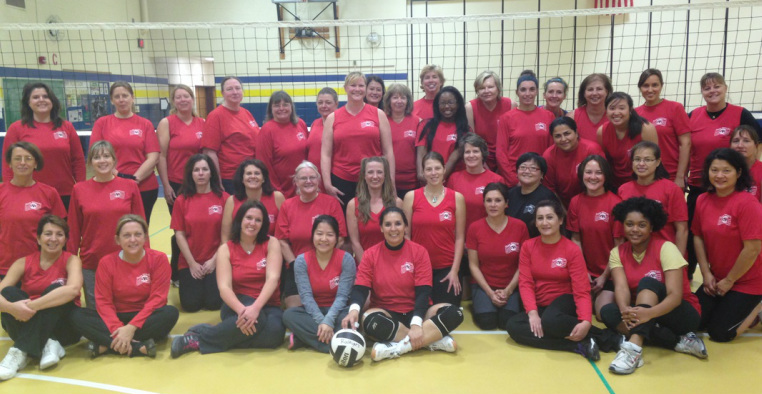 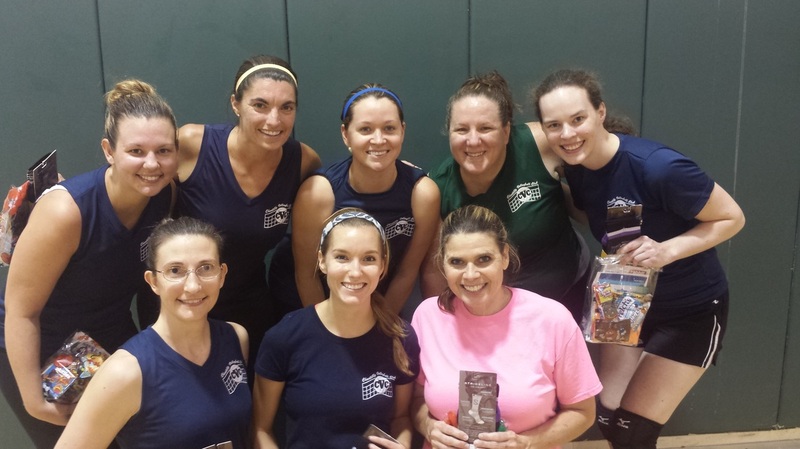 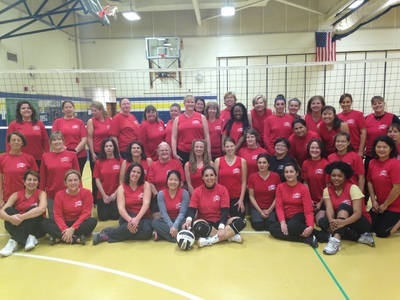 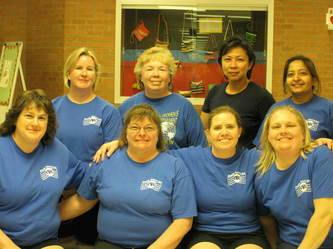 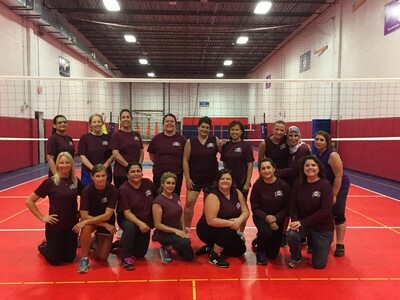 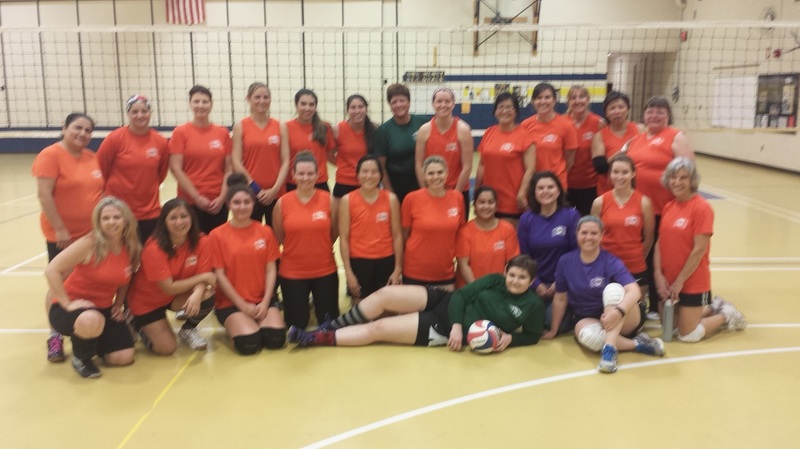 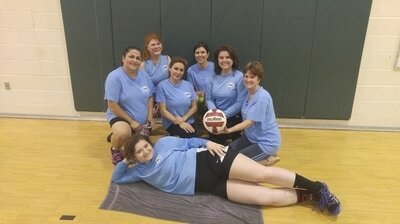 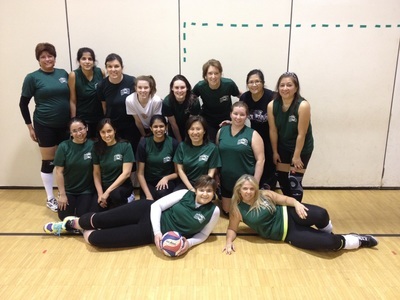 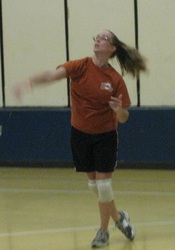 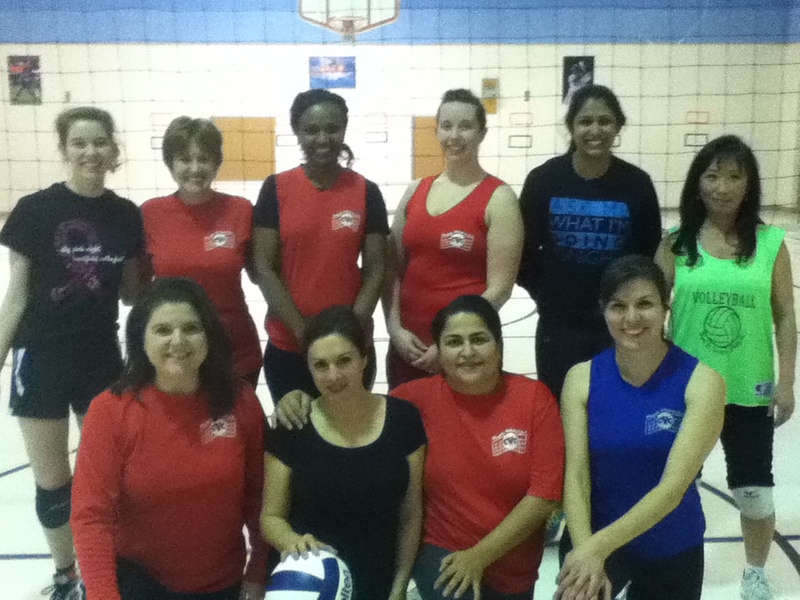 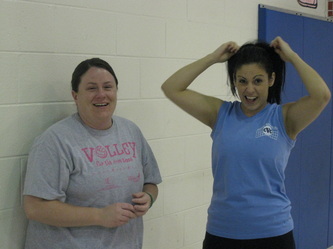 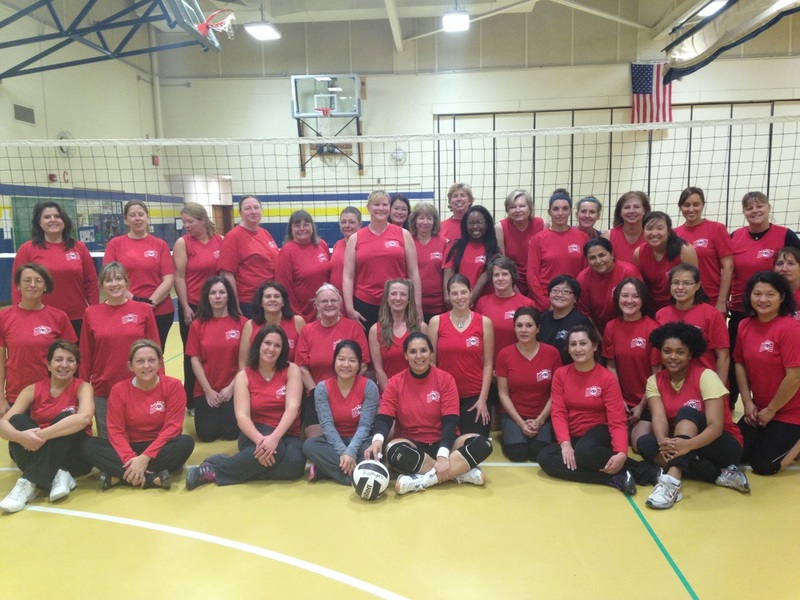 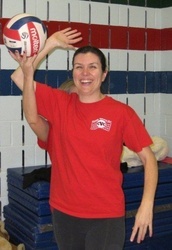 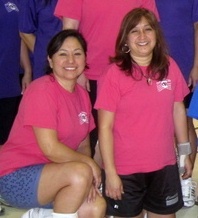 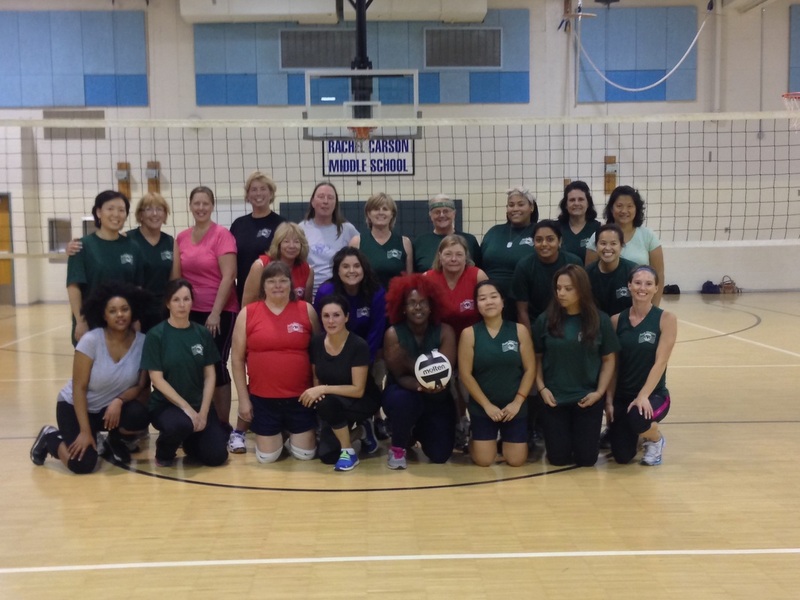 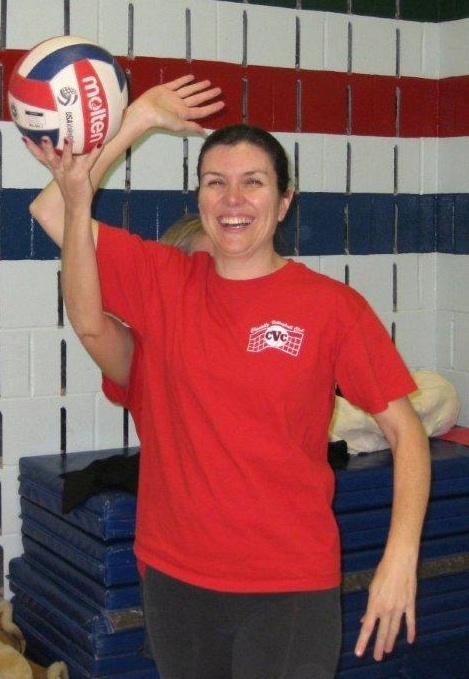 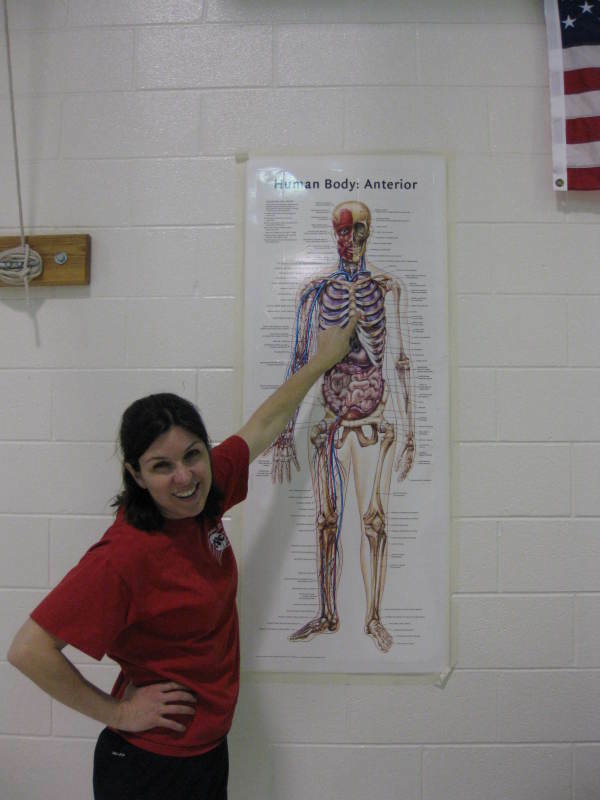 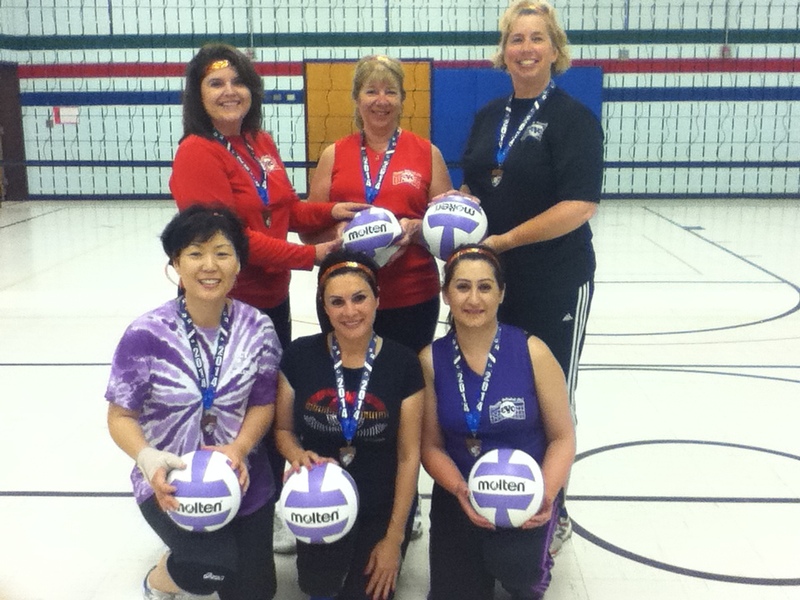 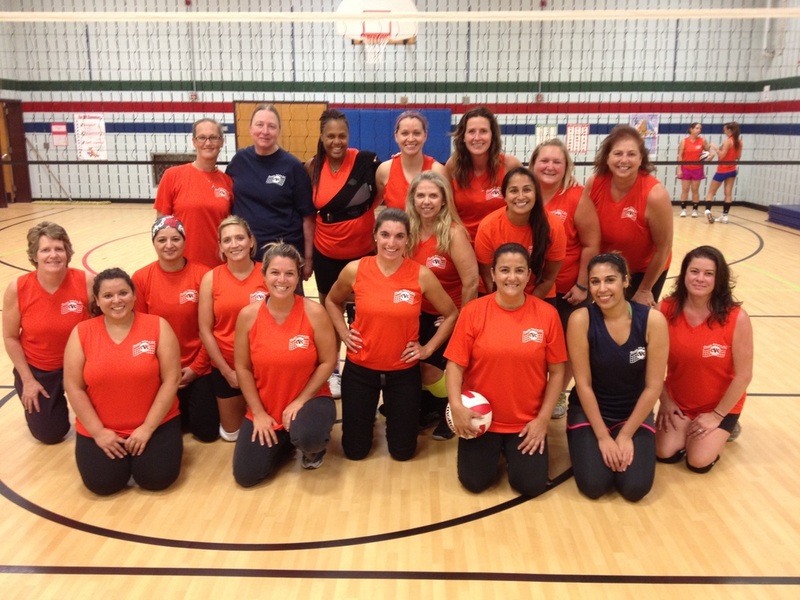 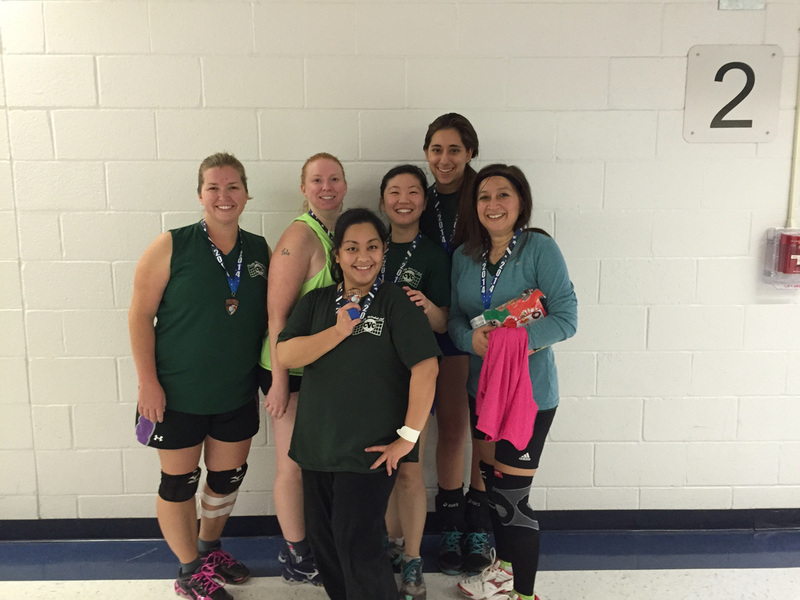 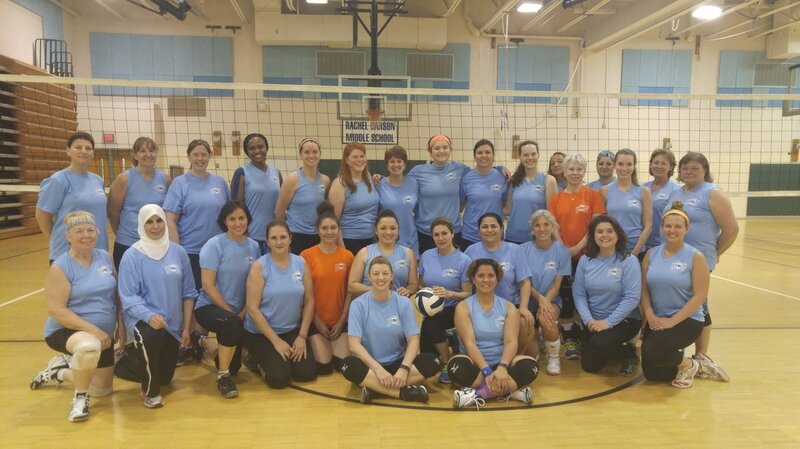 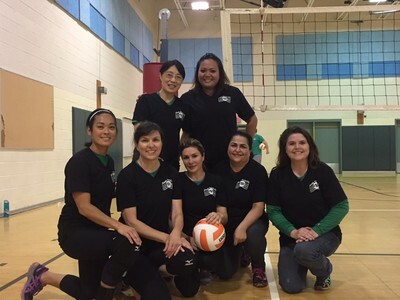 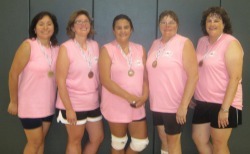 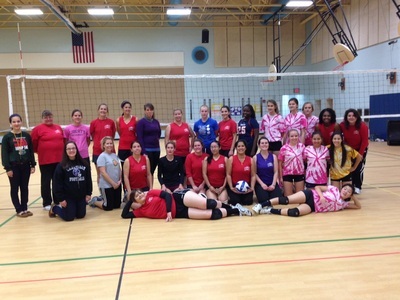 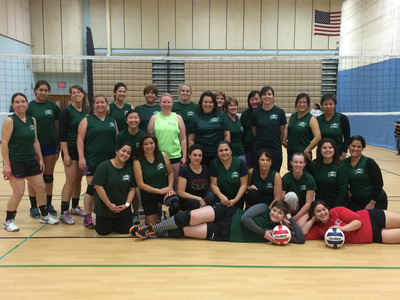 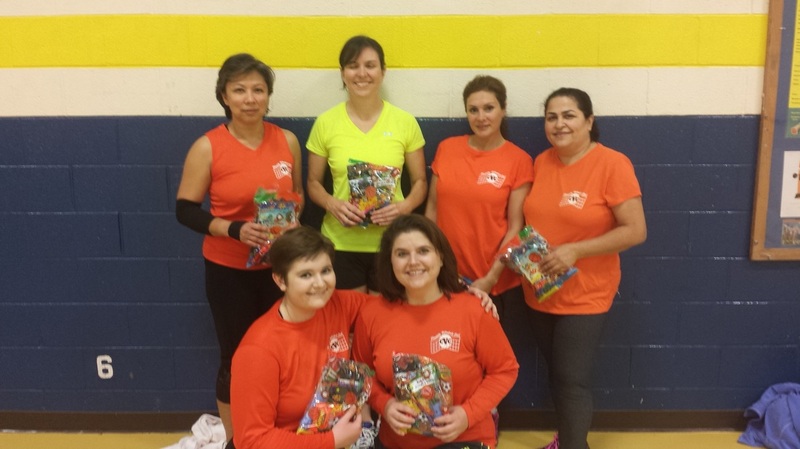 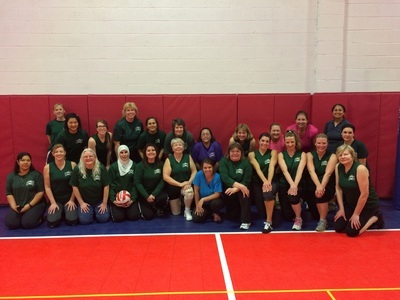 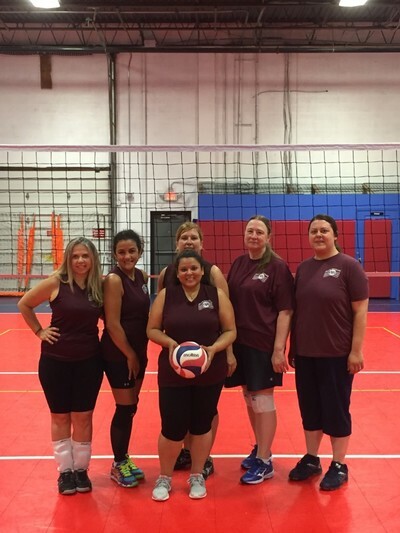 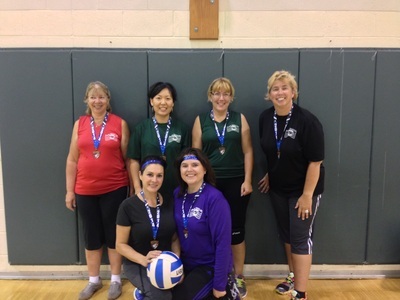 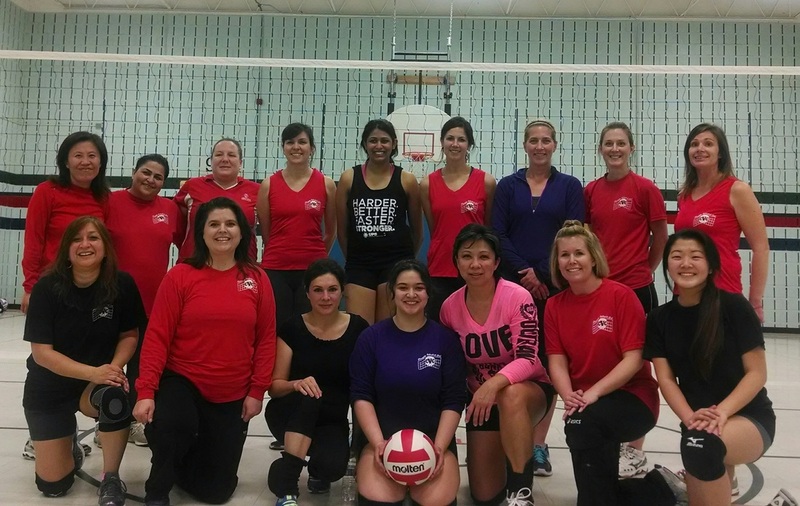 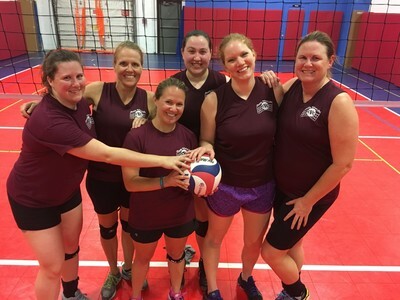 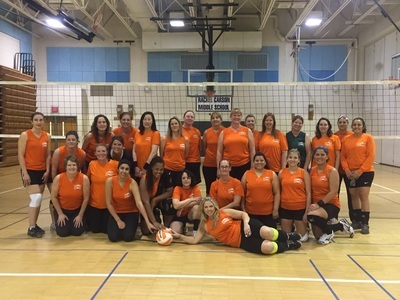 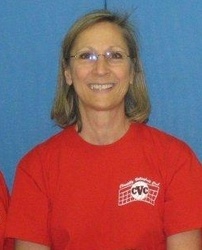 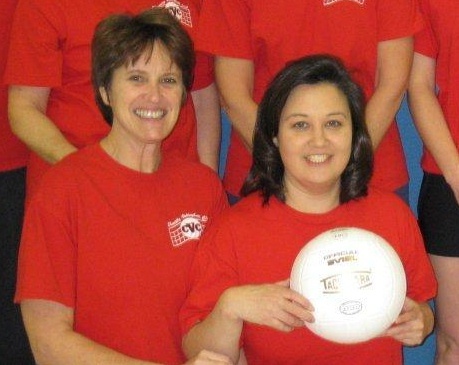 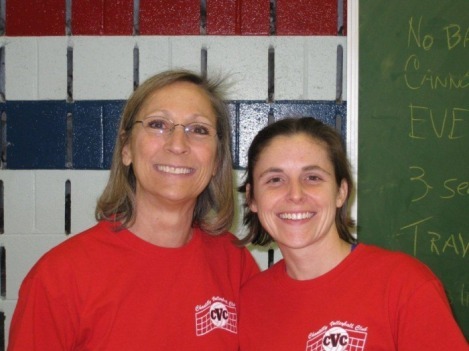 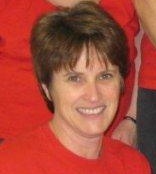 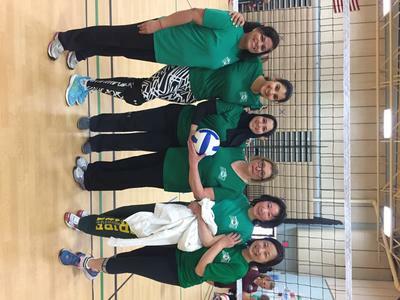 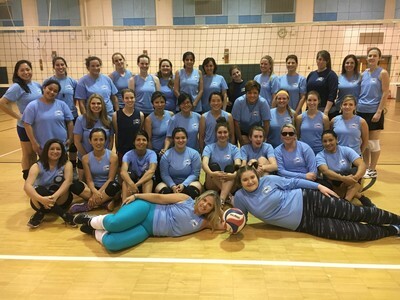 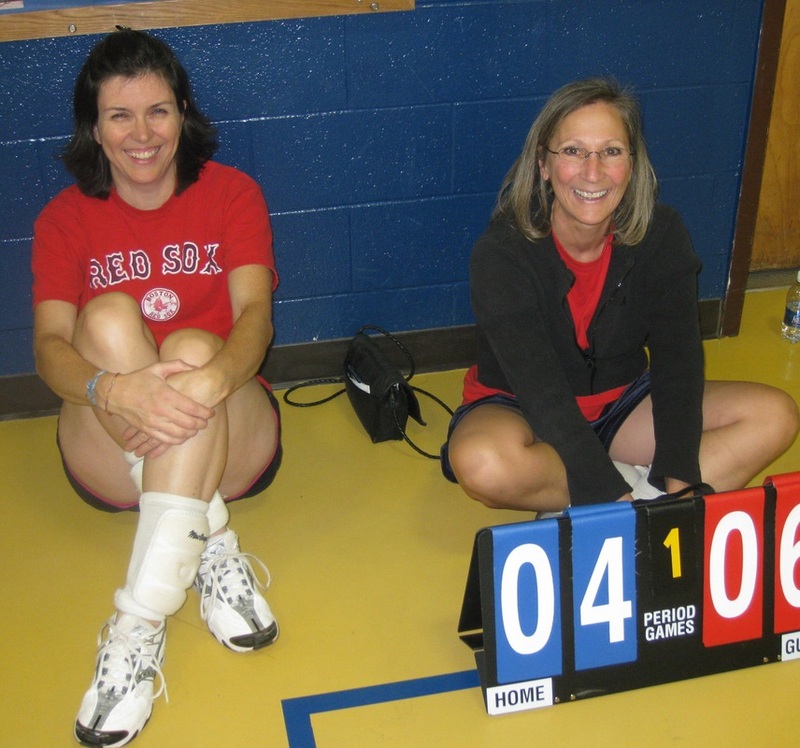 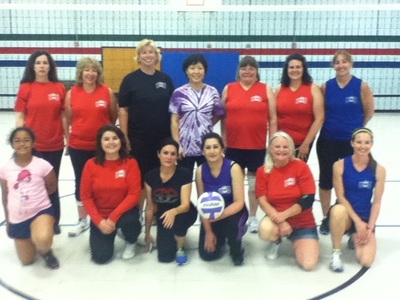 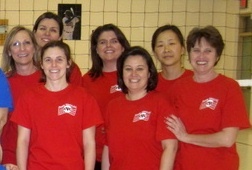 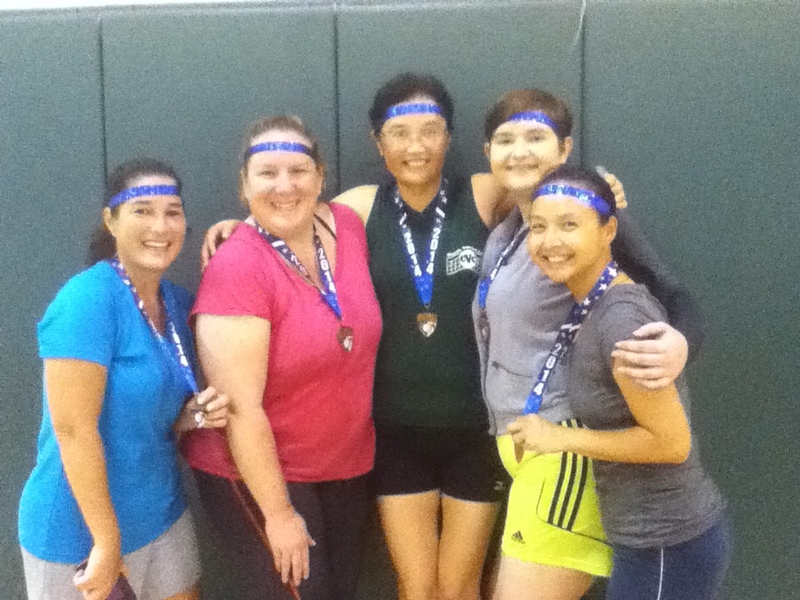 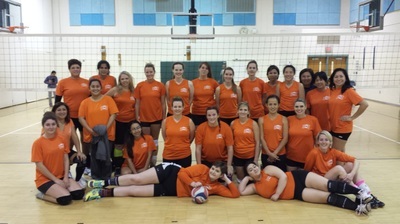 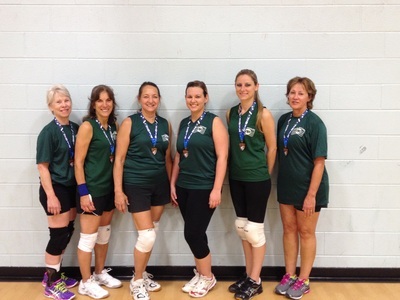 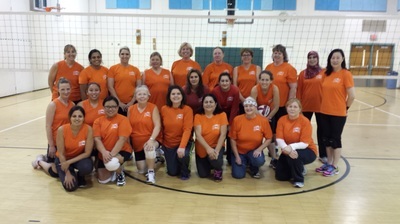 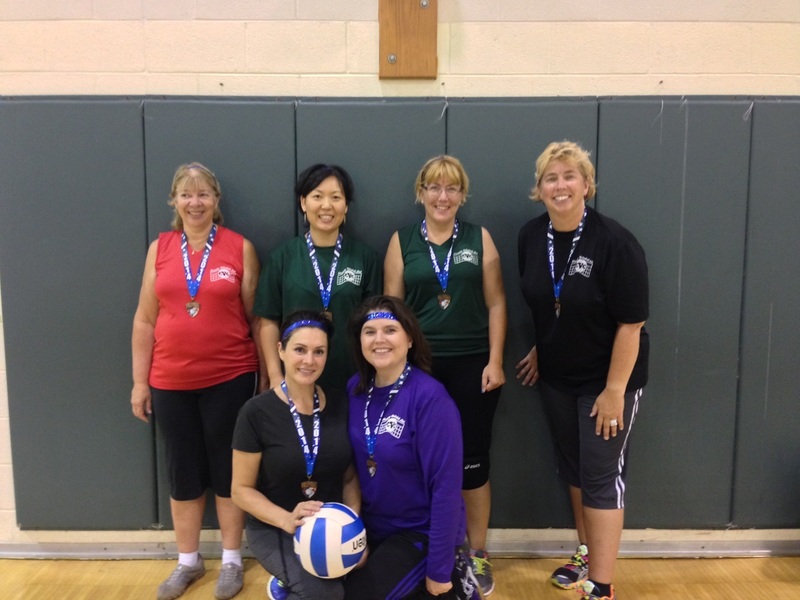 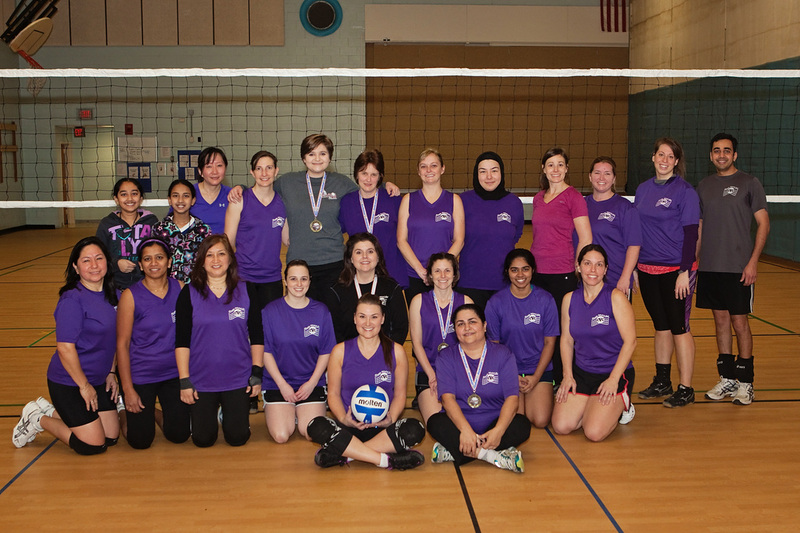 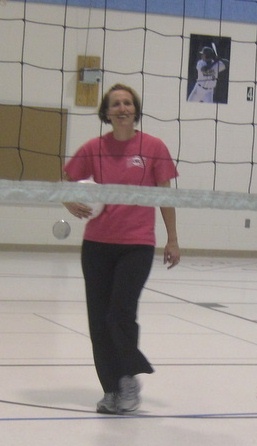 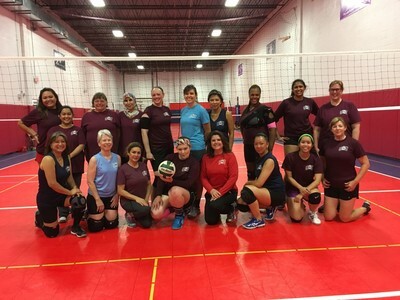 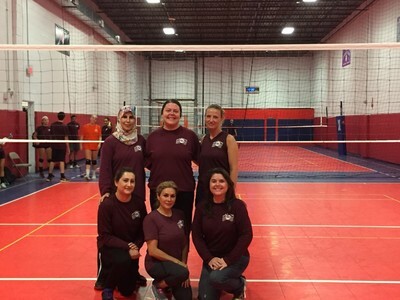 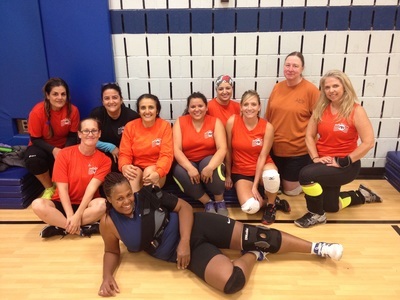 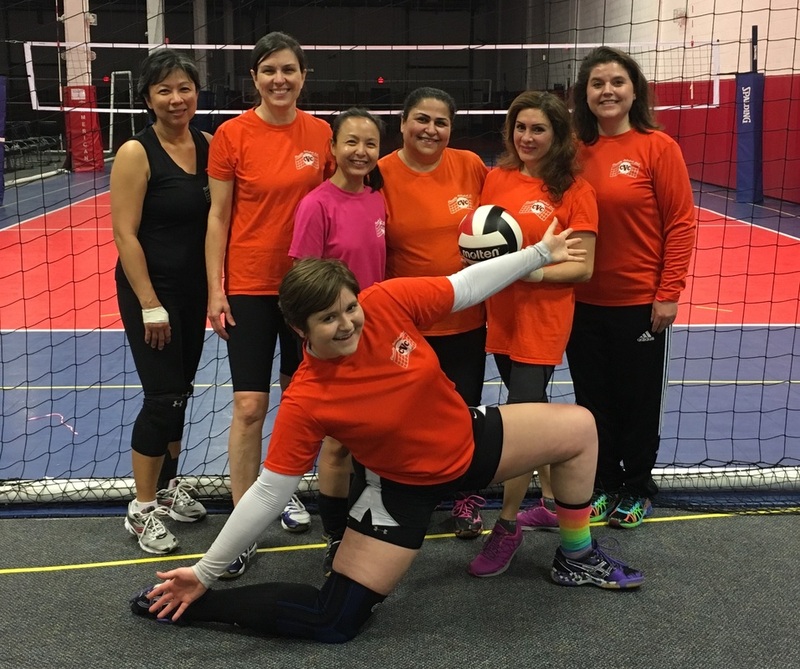 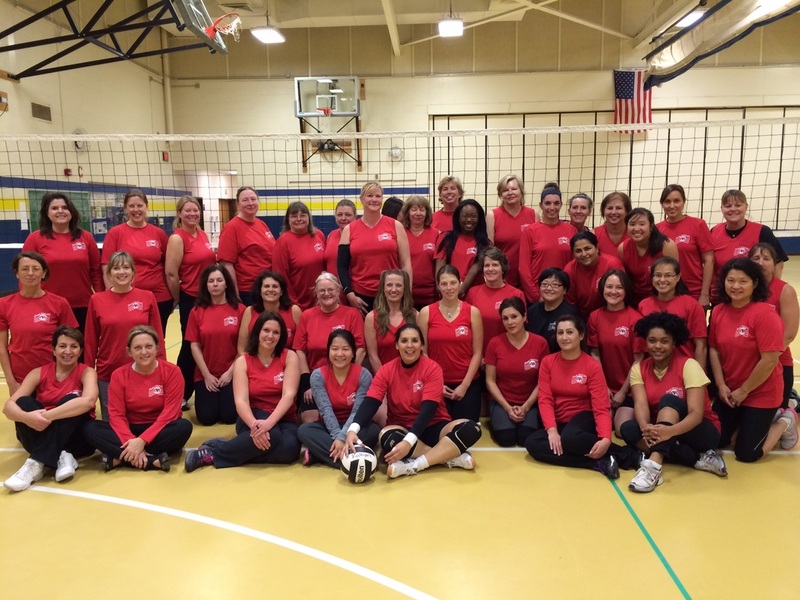 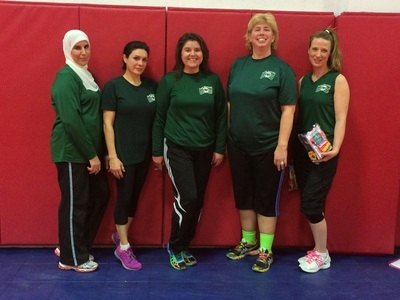 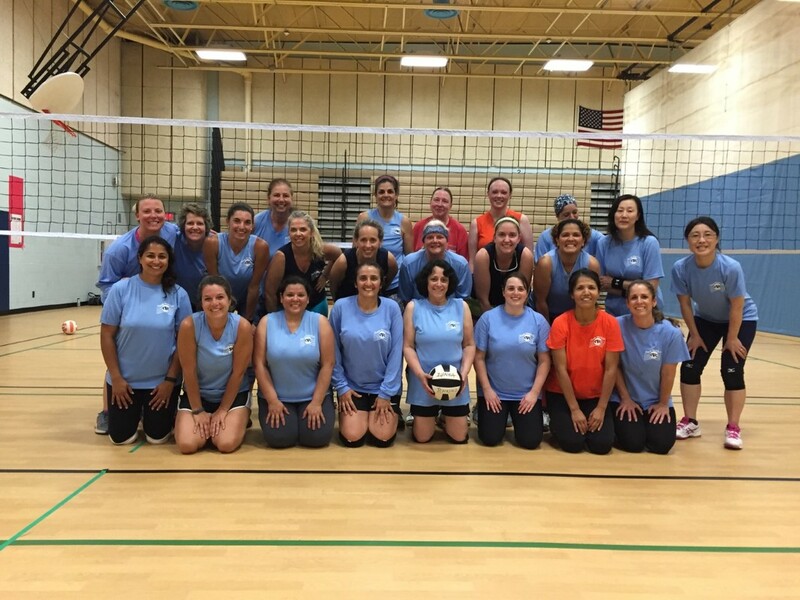 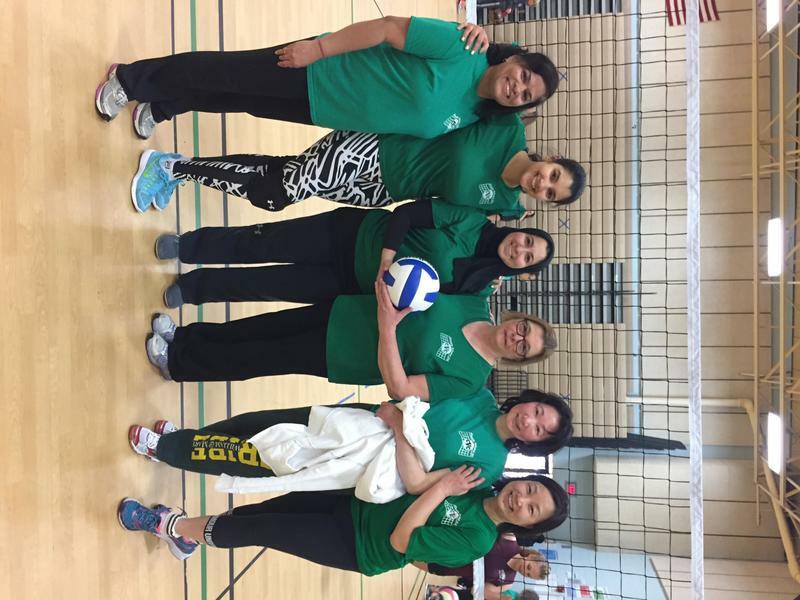 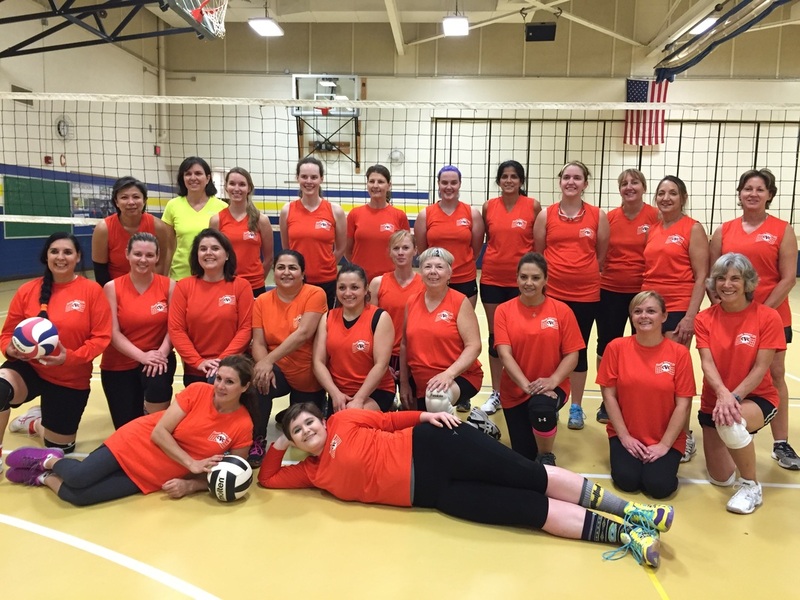 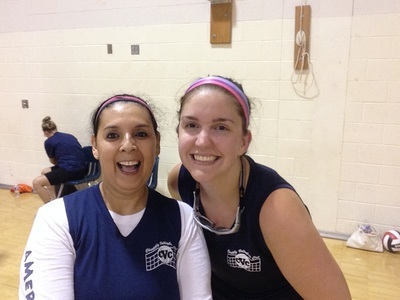 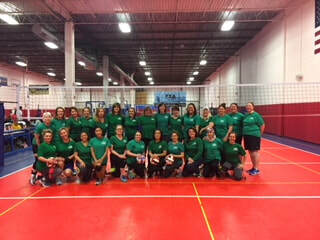 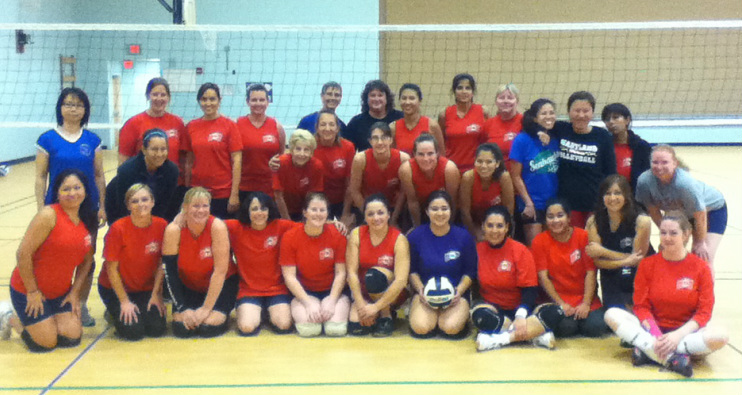 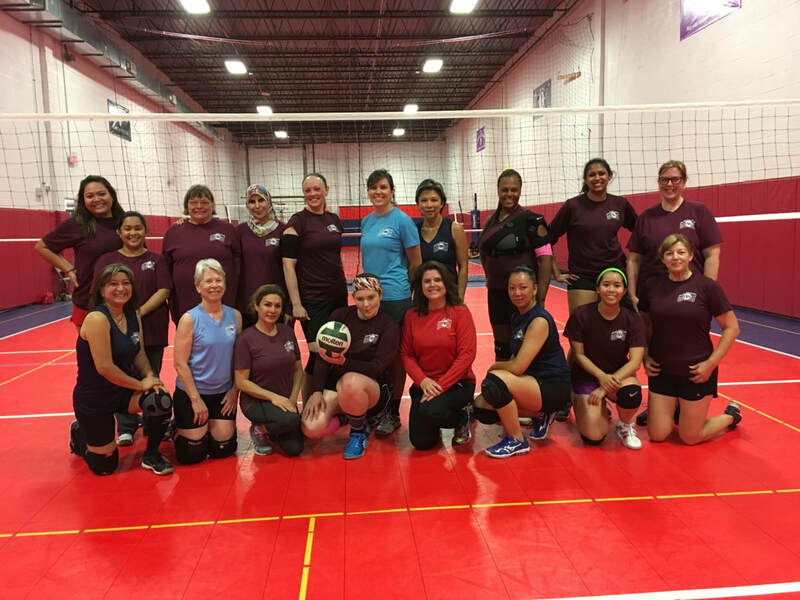 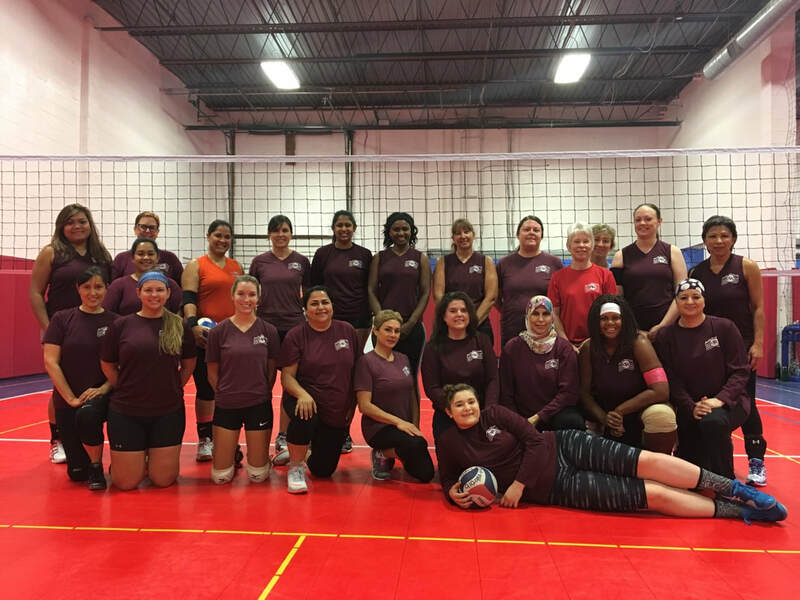 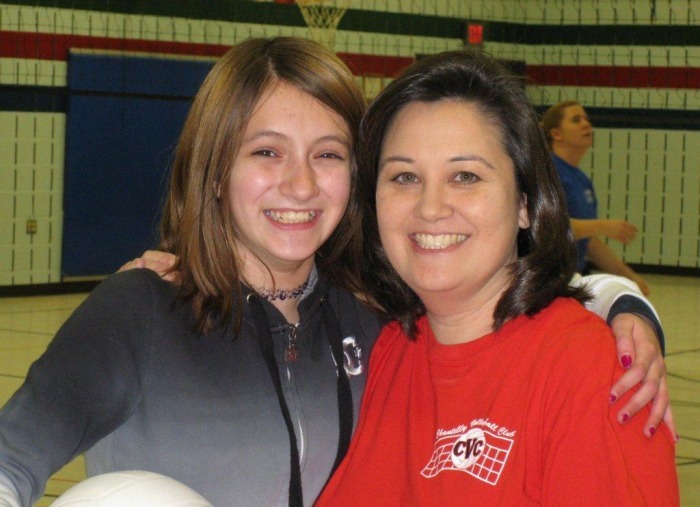 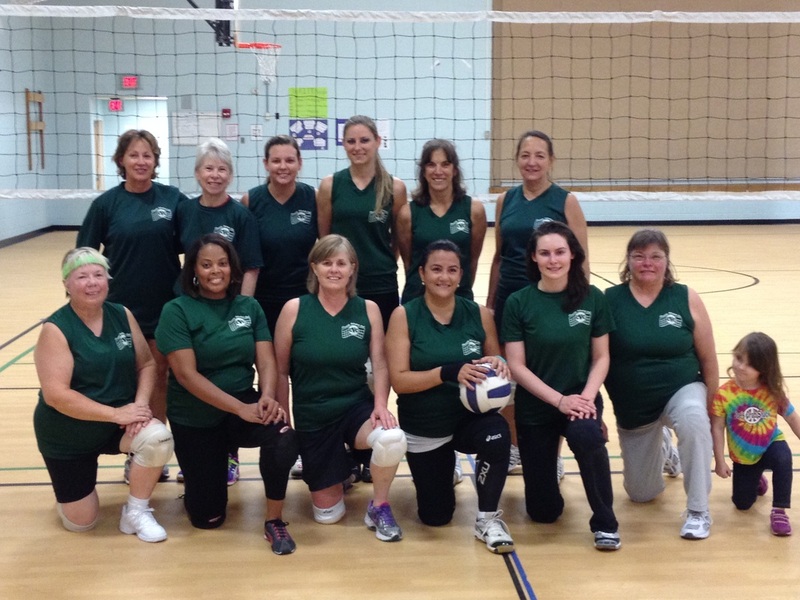 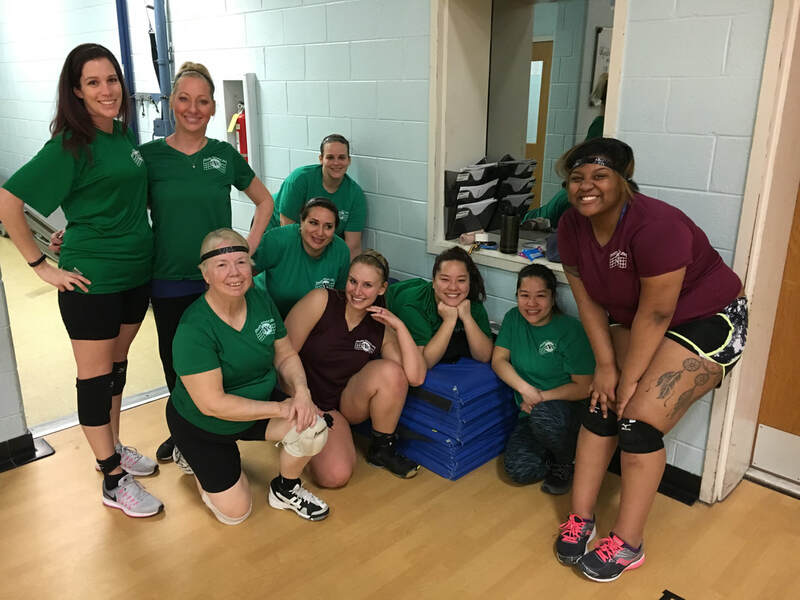 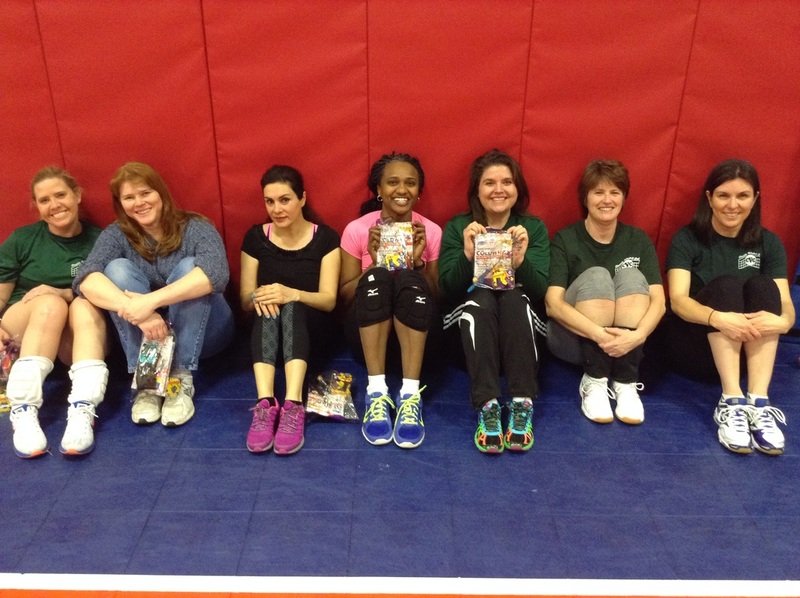 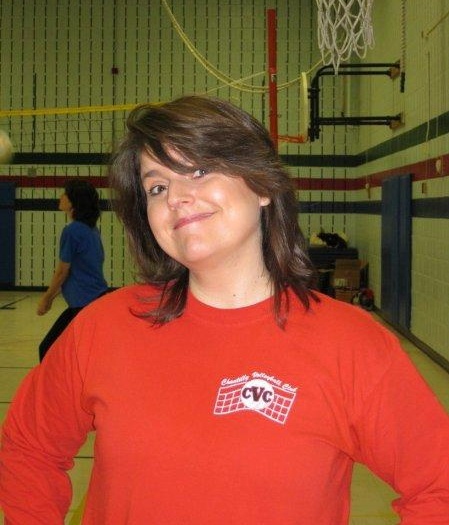 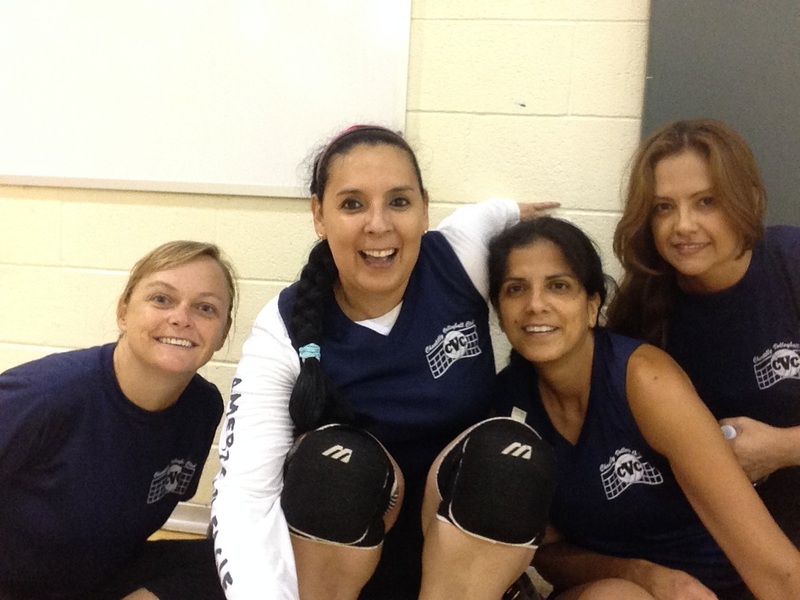 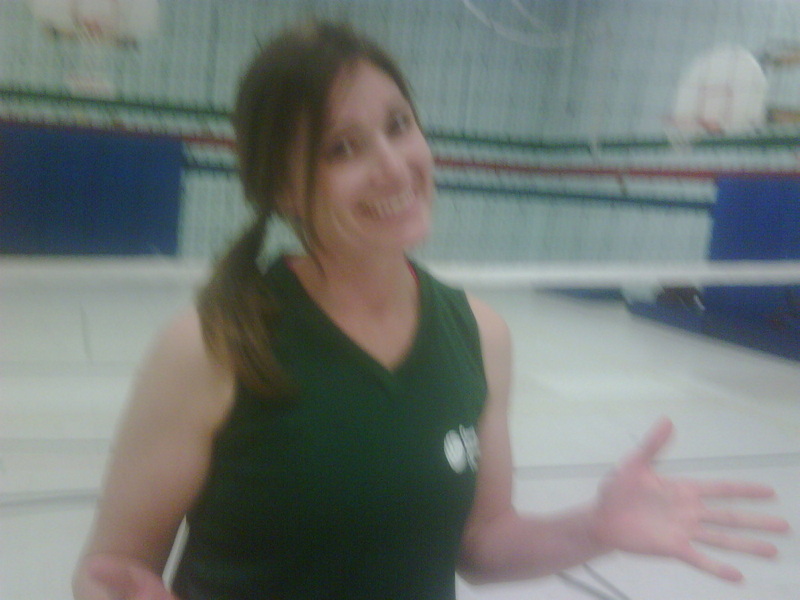 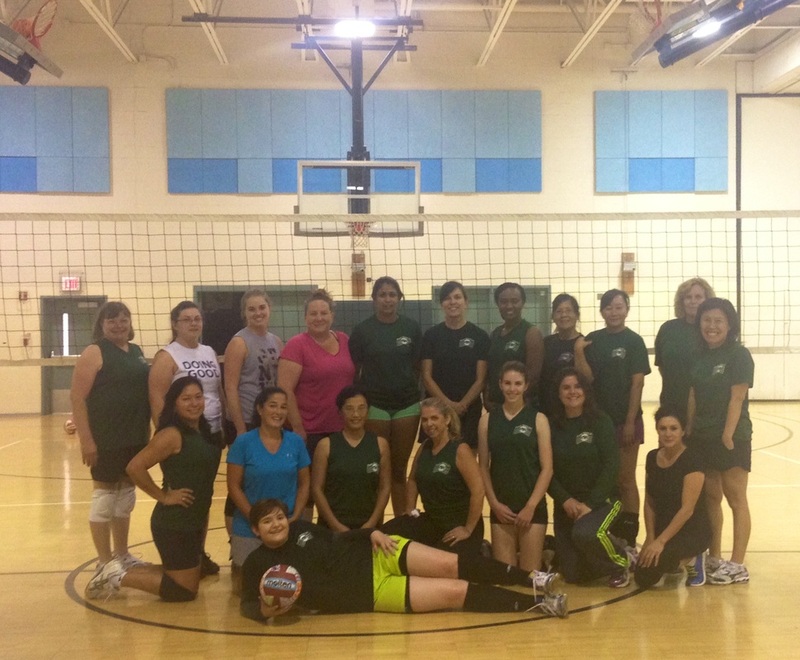 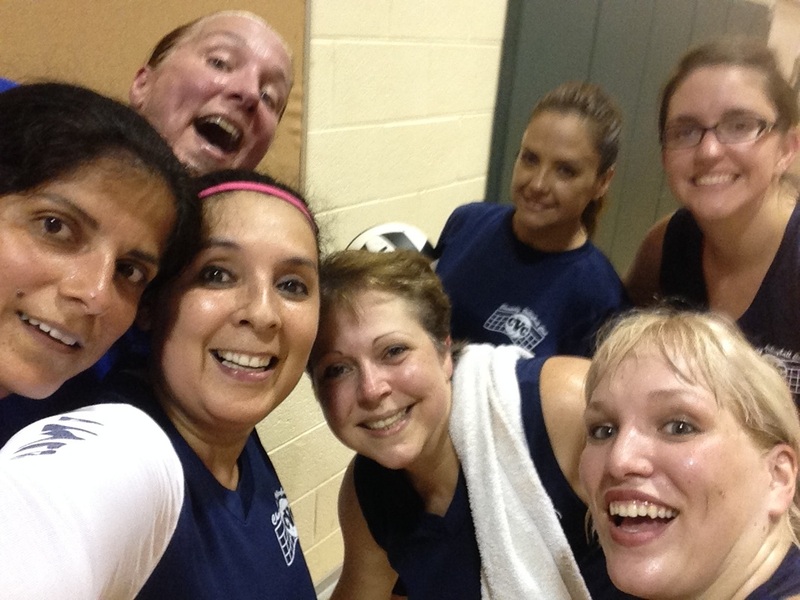 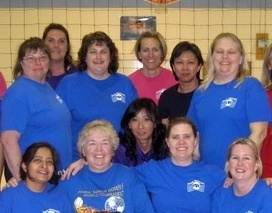 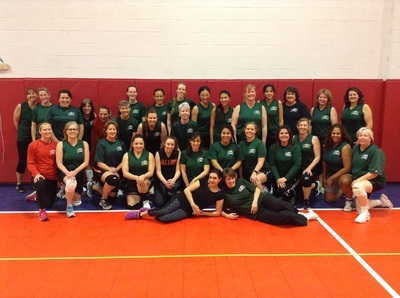 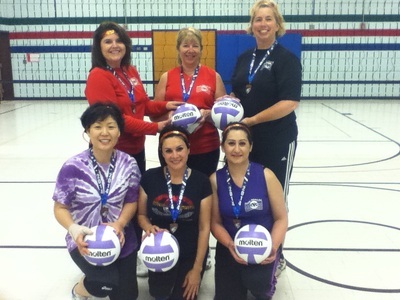 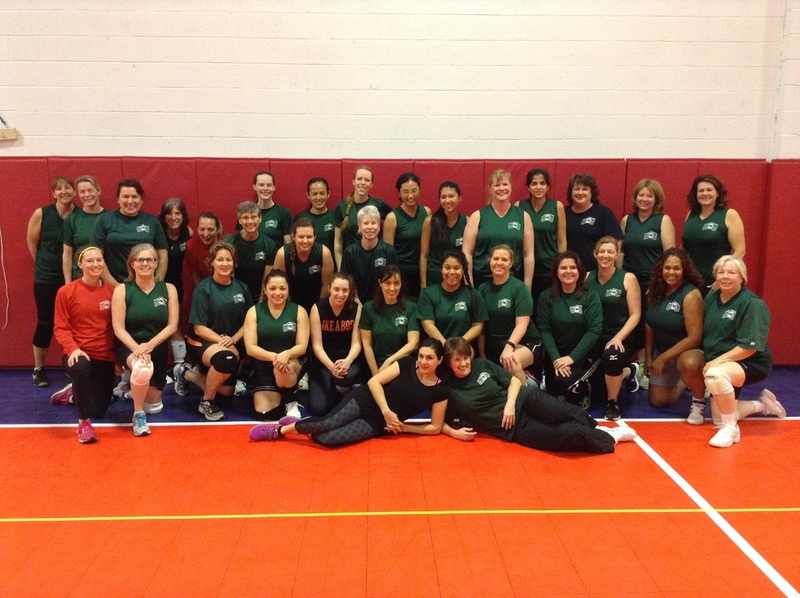 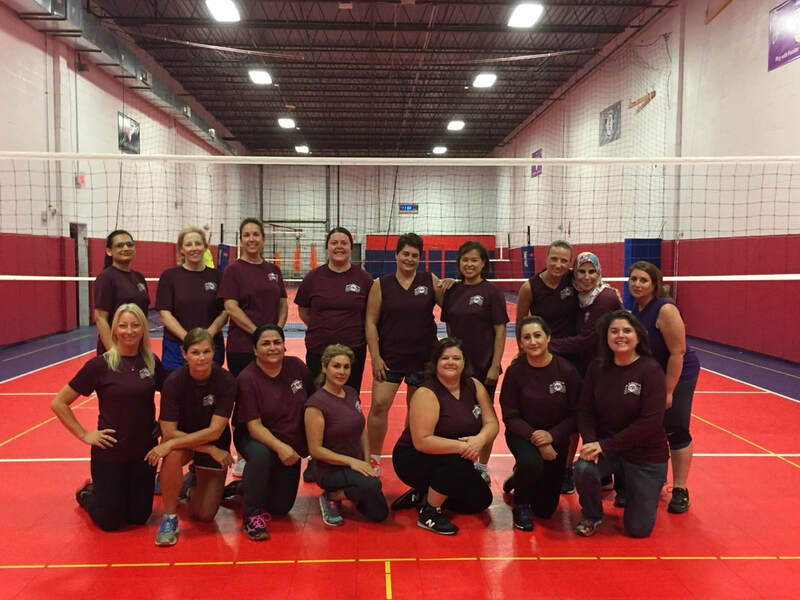 To sign up for women's volleyball contact Melissa Fedors at pagefedors@hotmail.com. 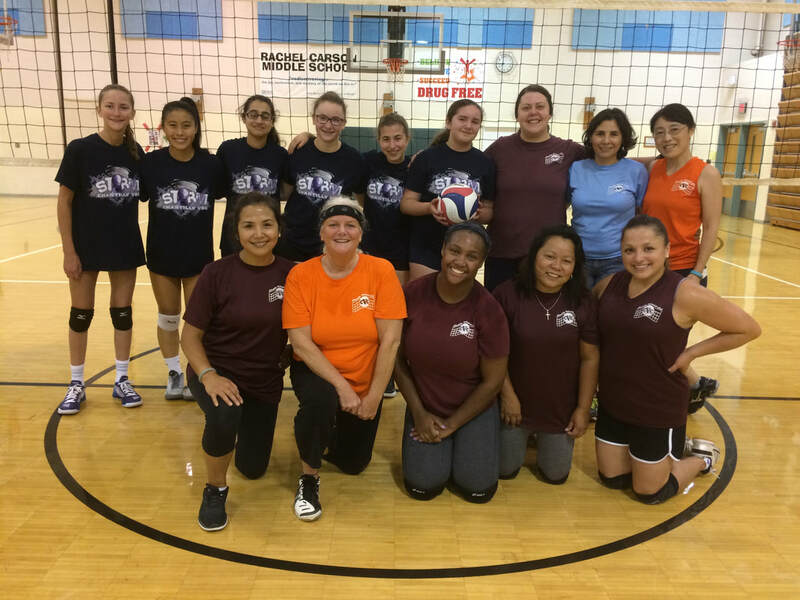 Thank you to all of the players who participated with CVC this summer. Congratulations to Team 2 on finishing first at the end of season tournament! 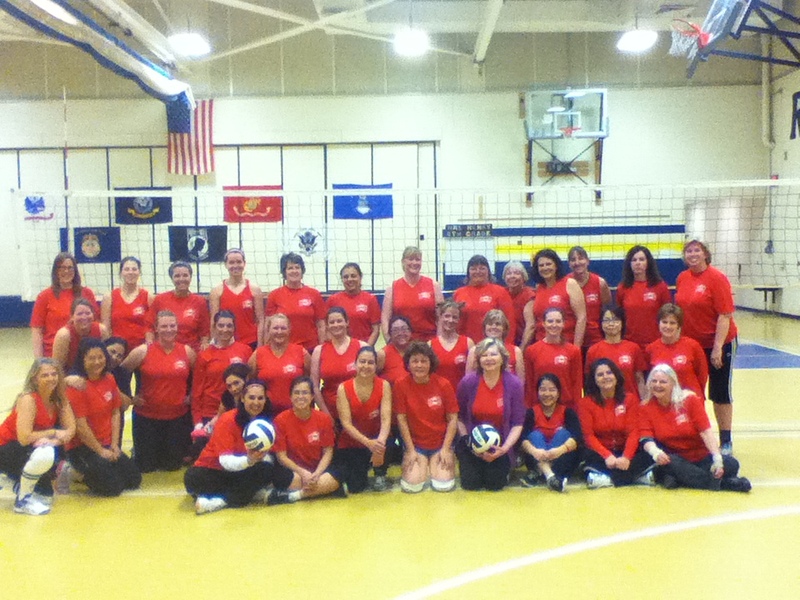 Thank you to all of our participants! 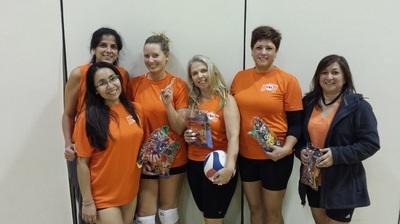 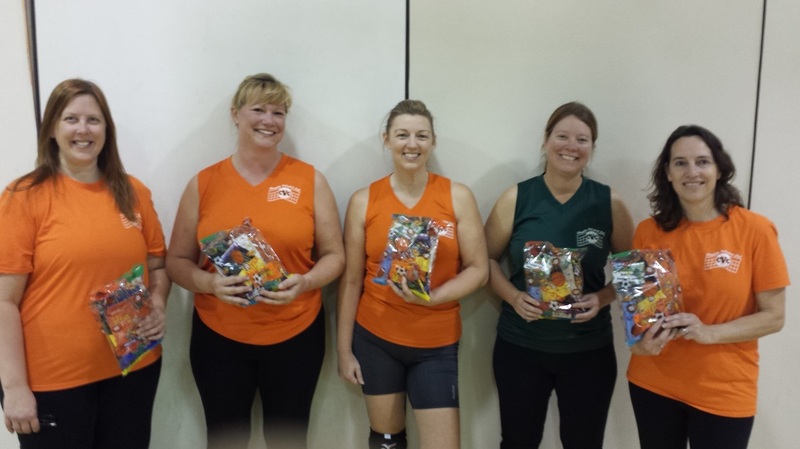 Congratulations Team 4 on finishing first at the end of season tournament. Thank you to the participants who came out to play in the end of season tournament for the A level. Congratulations to Team 3 on their 1st place finish. 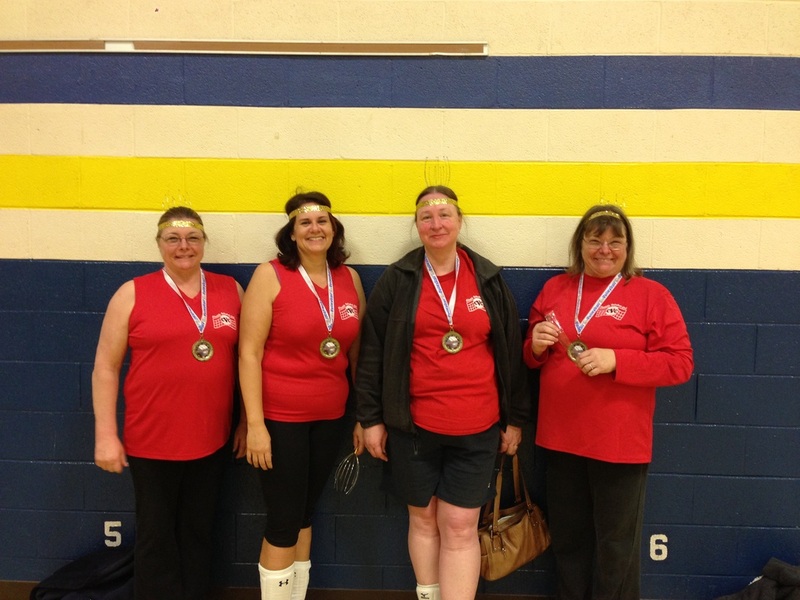 Honorable mention to Team 4 on their close 2nd place. 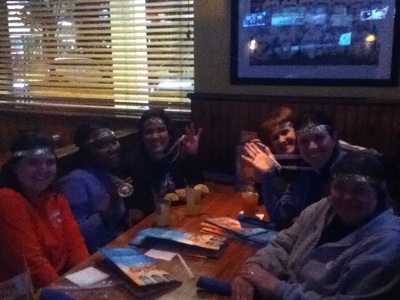 Congratulations to Team 1 on their first place finish this season! Congratulations A1 and B1 on their victories in the end of season tournament this summer. 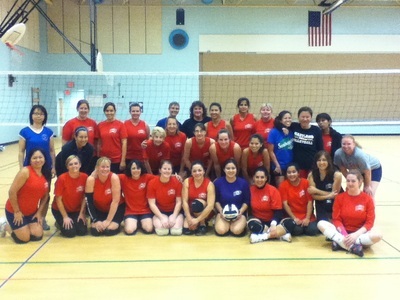 Both teams went undefeated in their sets to finish first overall. There were two tournaments this spring: The A Level teams competed in a round robin tournament at Fox Mill. 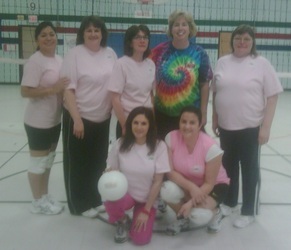 Congratulations Team 2 on their victory. 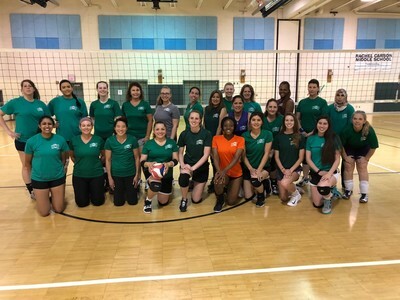 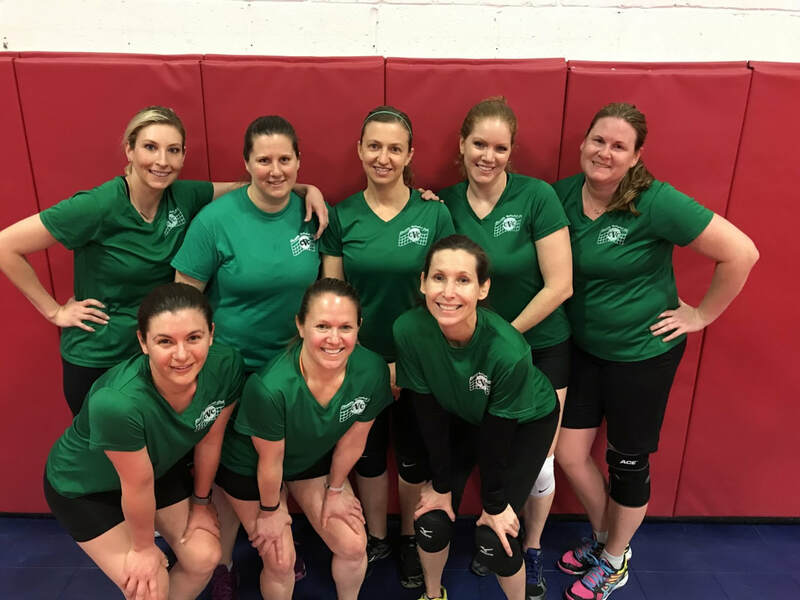 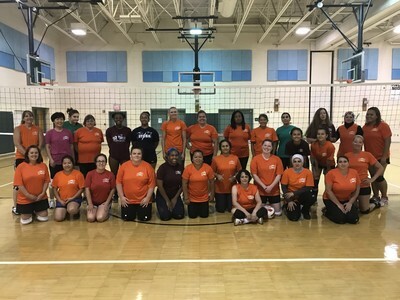 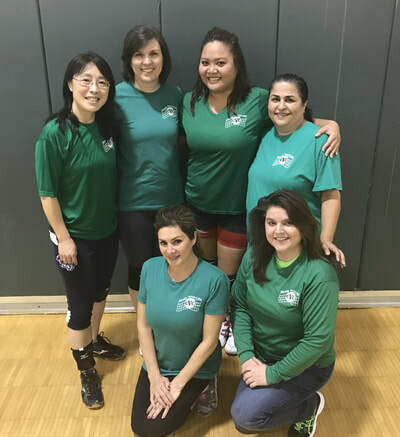 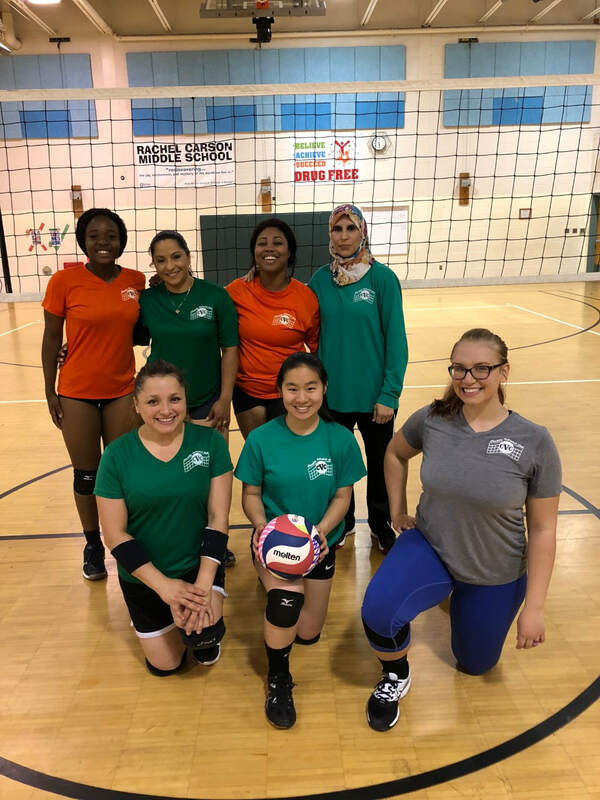 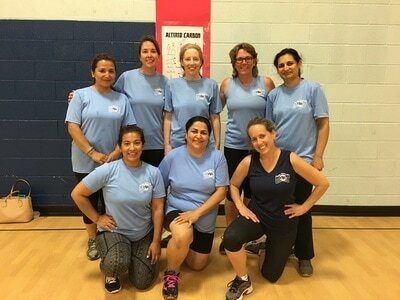 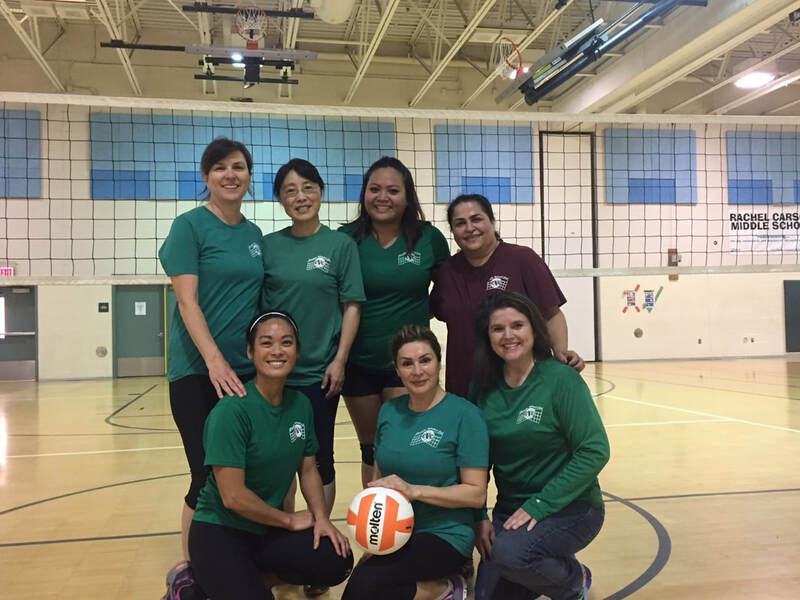 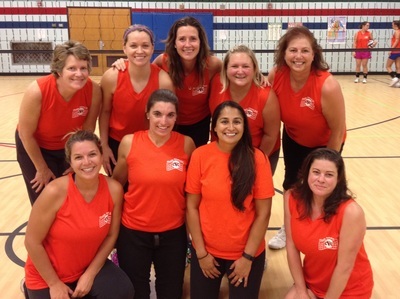 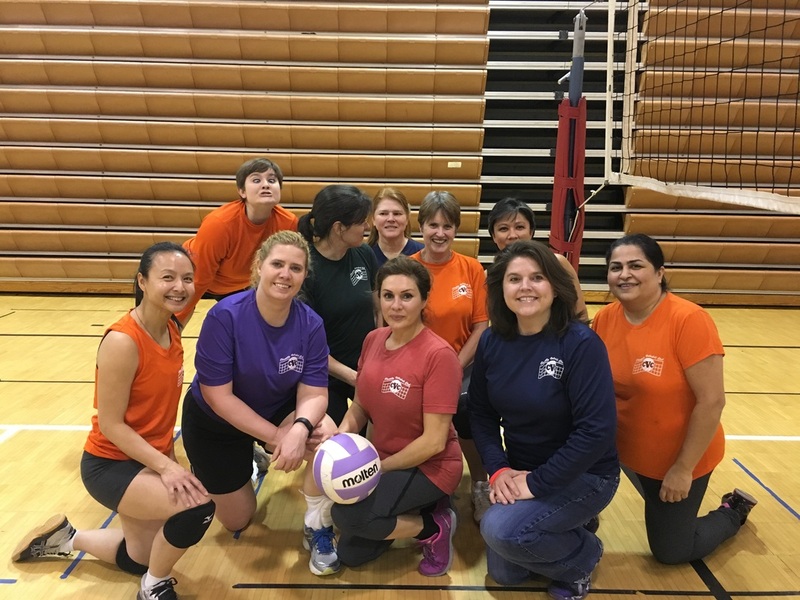 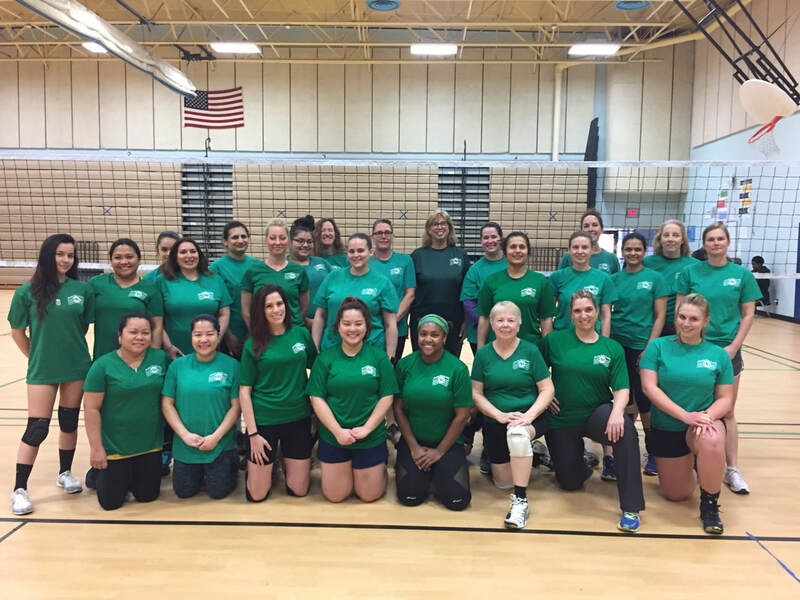 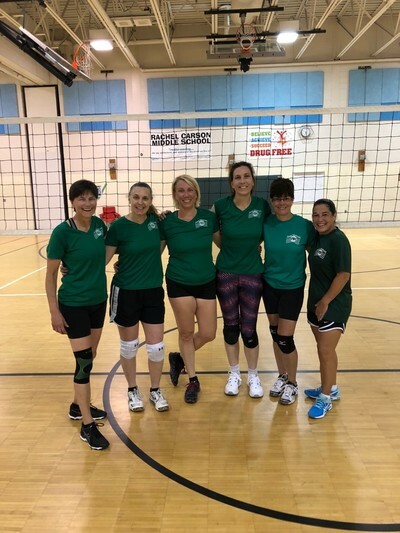 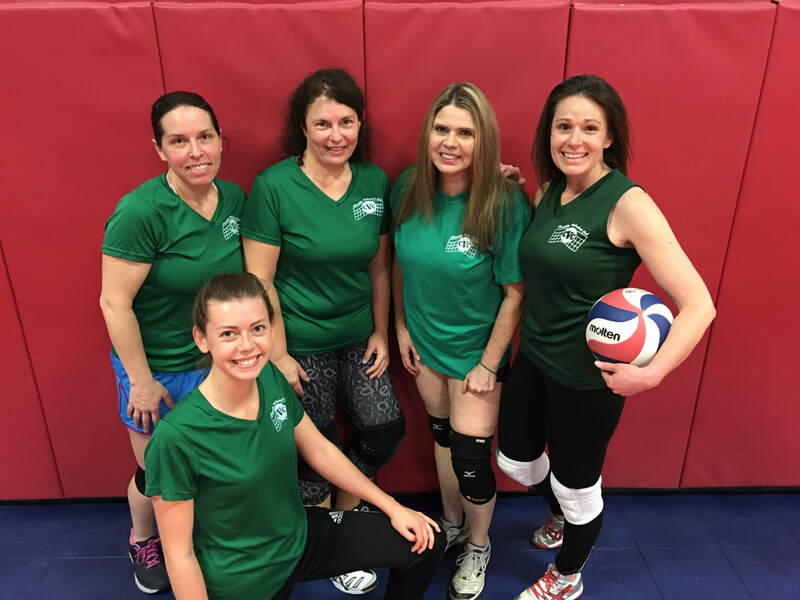 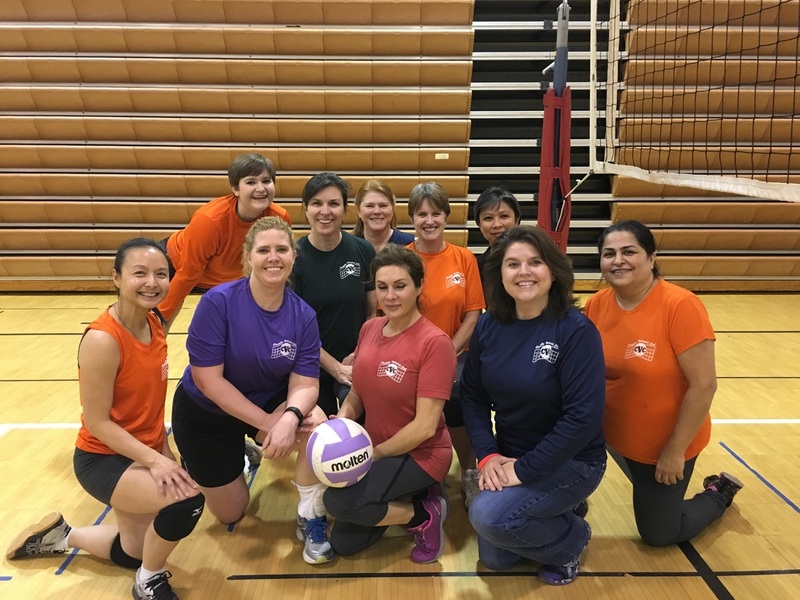 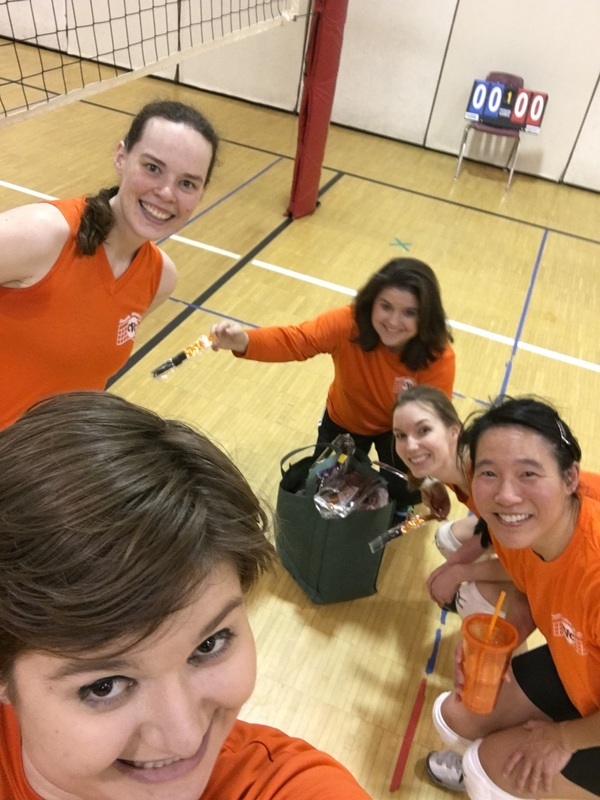 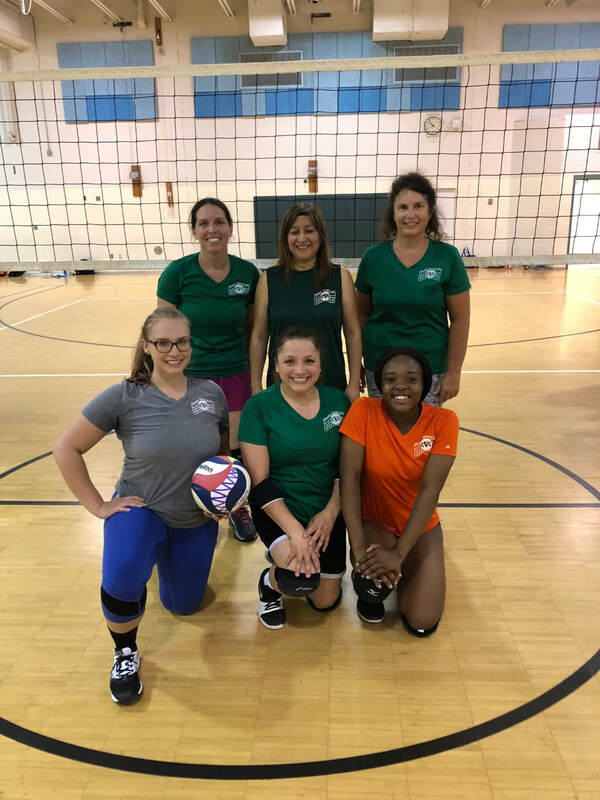 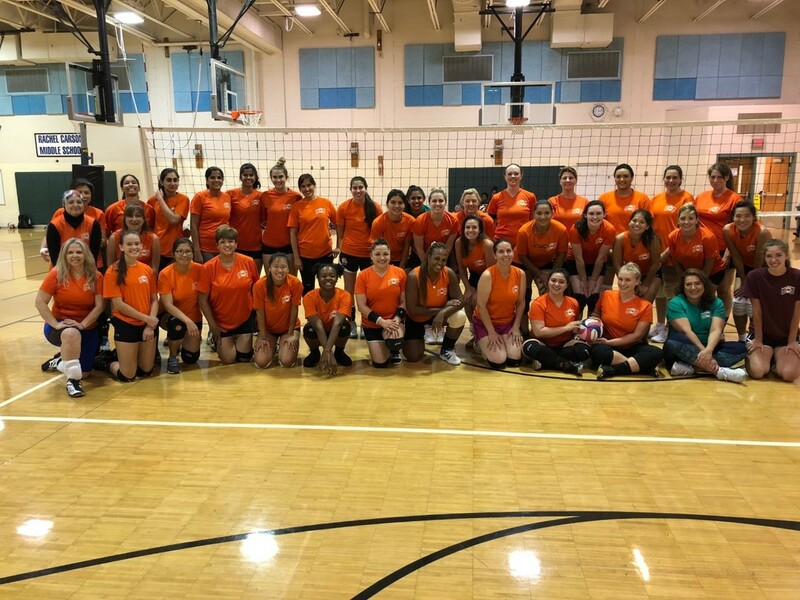 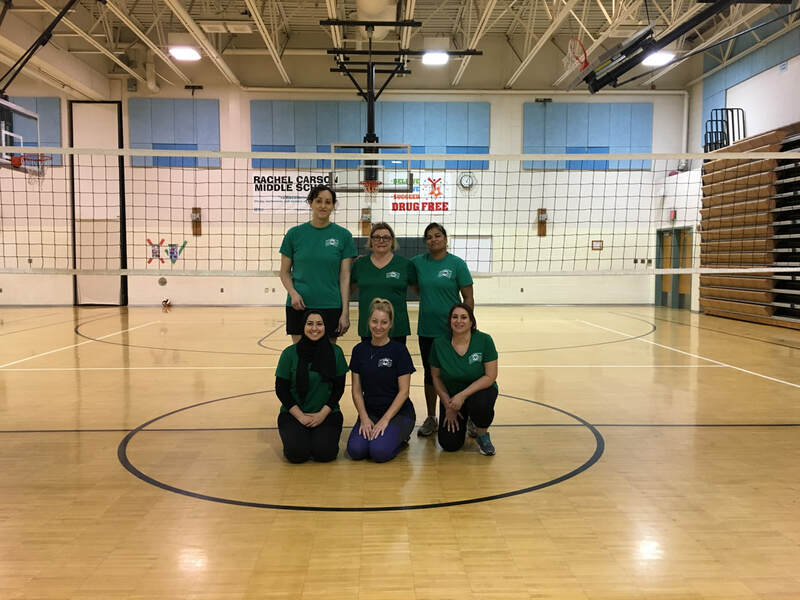 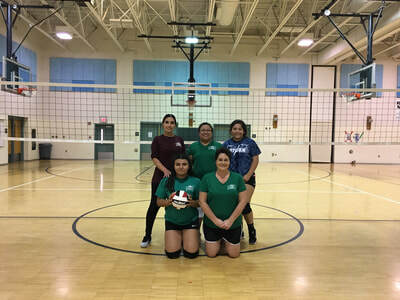 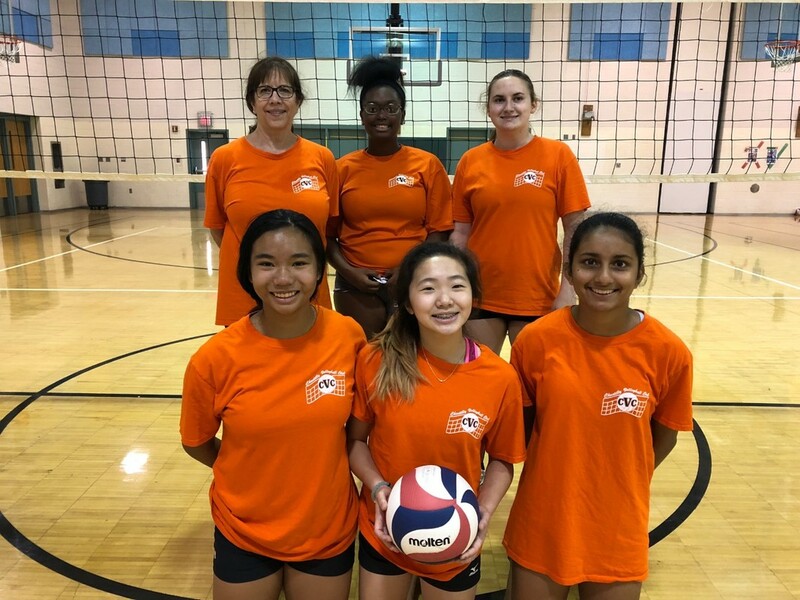 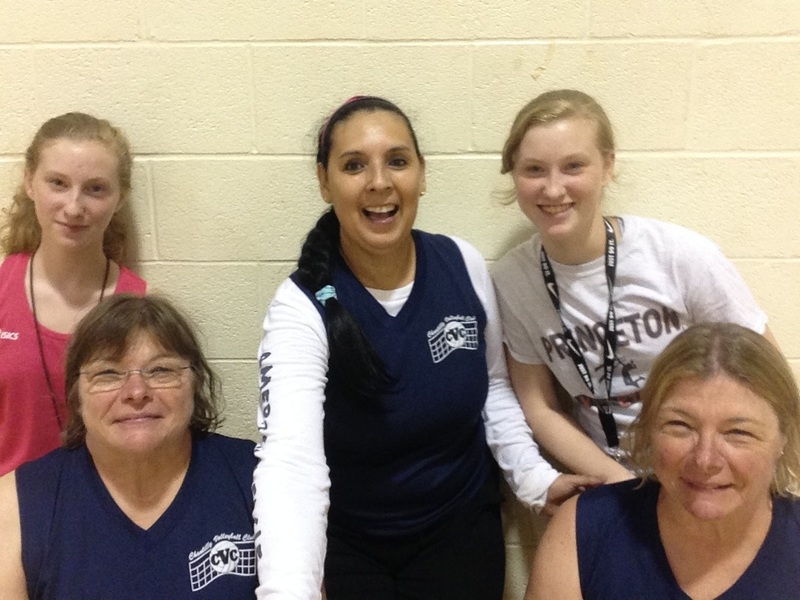 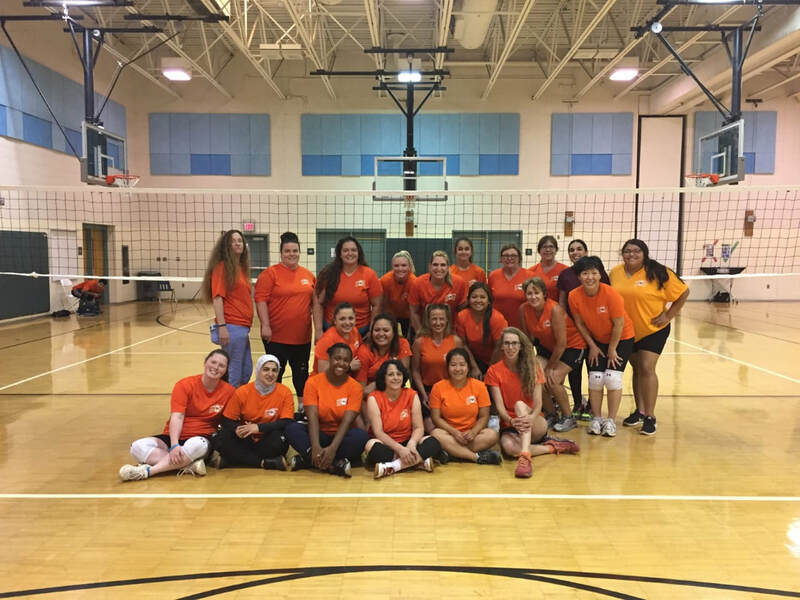 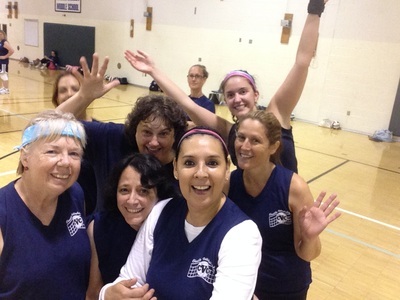 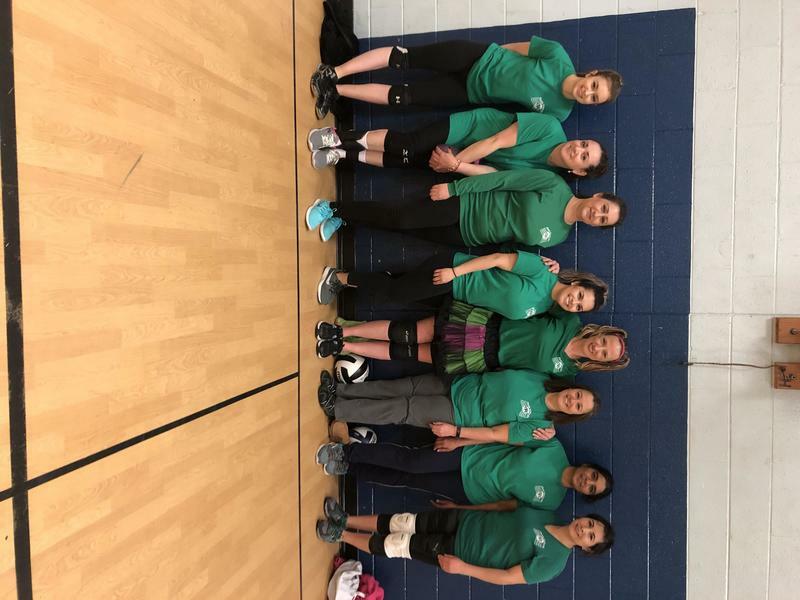 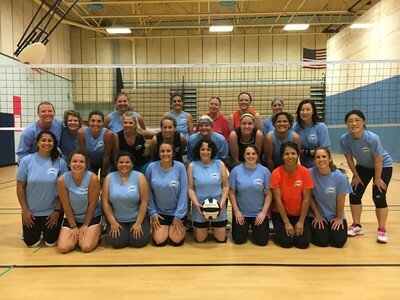 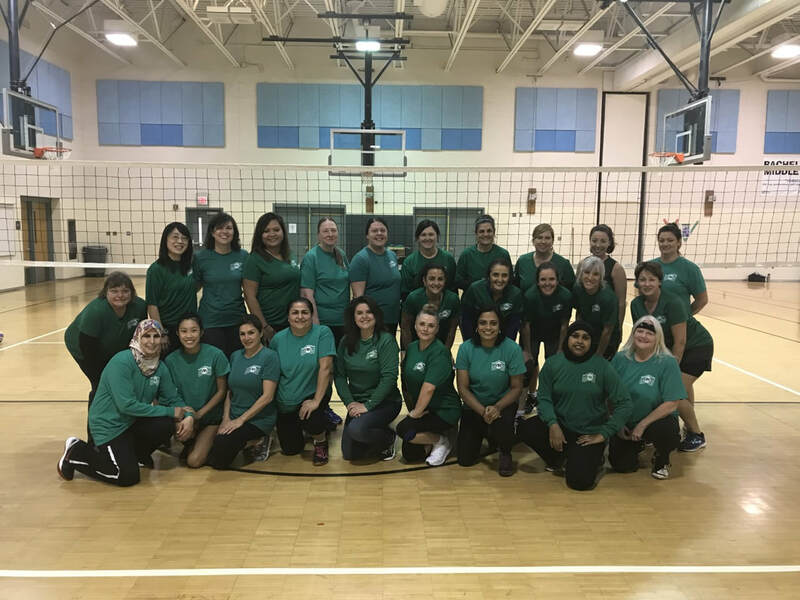 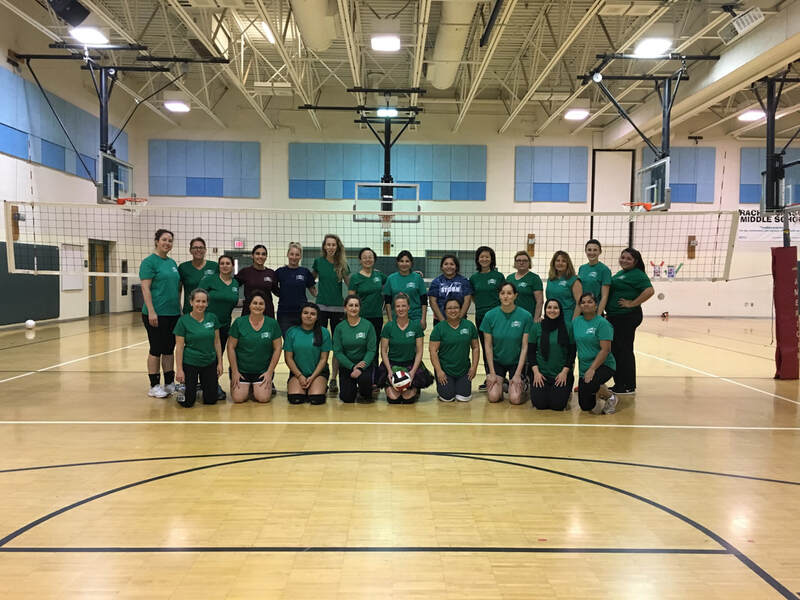 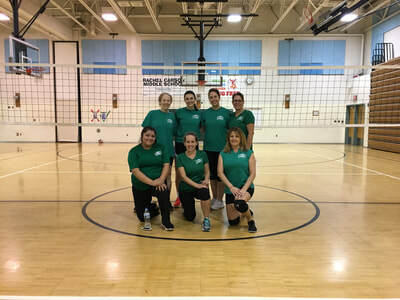 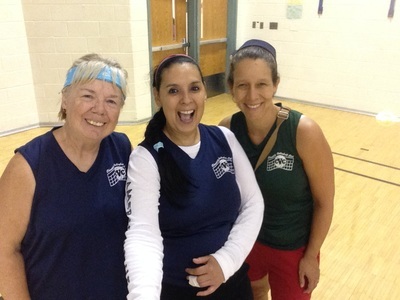 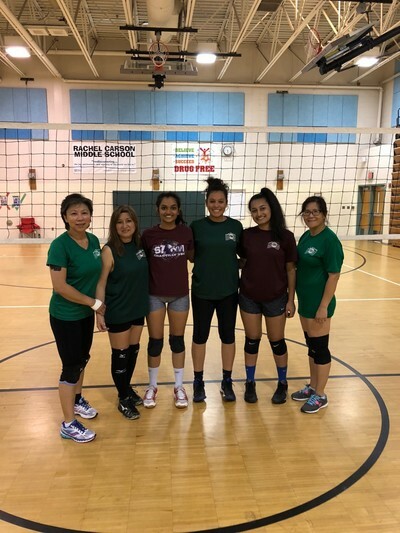 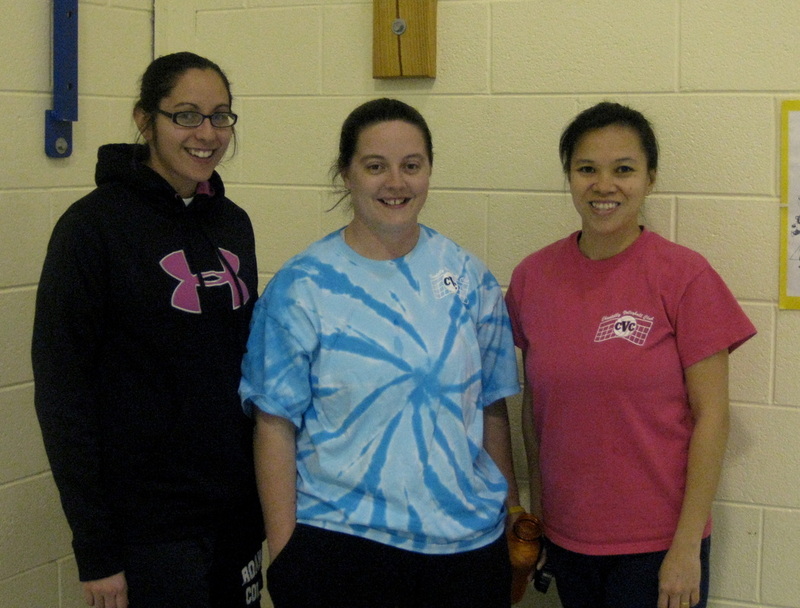 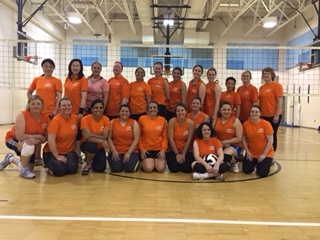 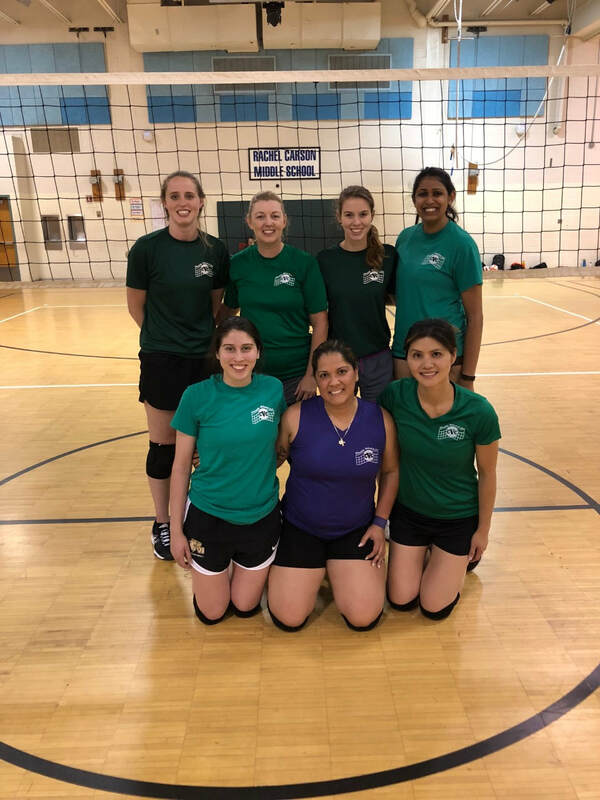 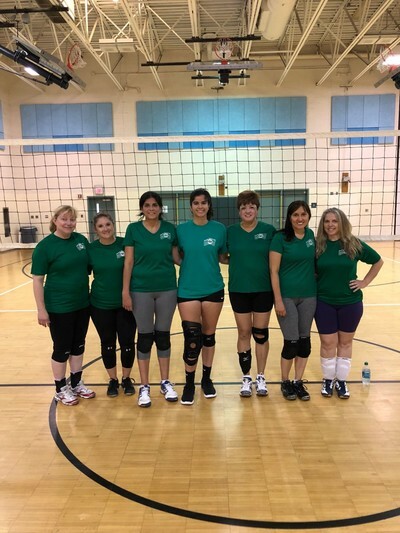 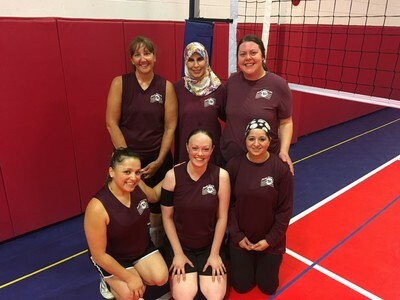 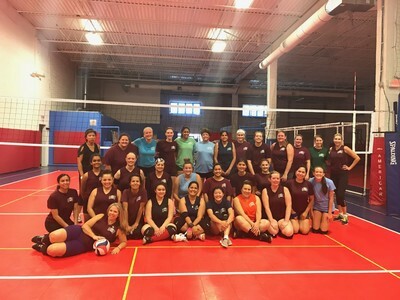 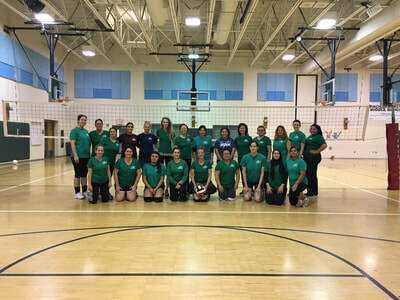 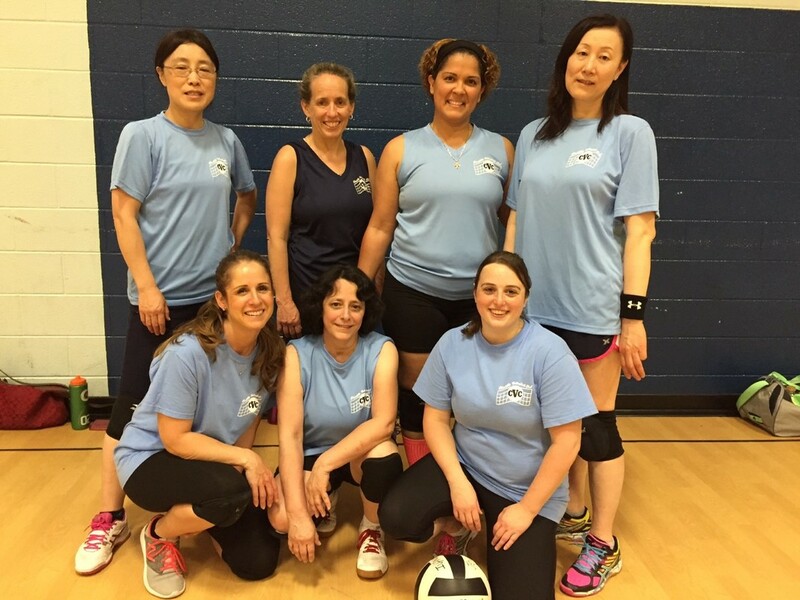 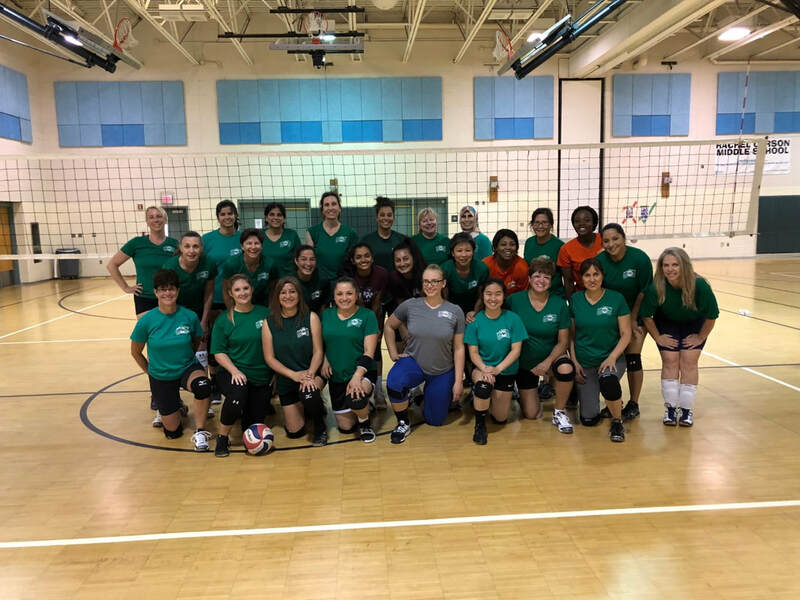 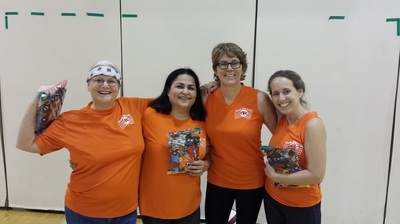 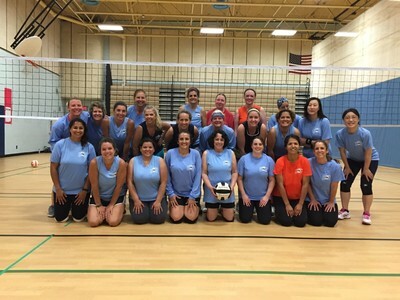 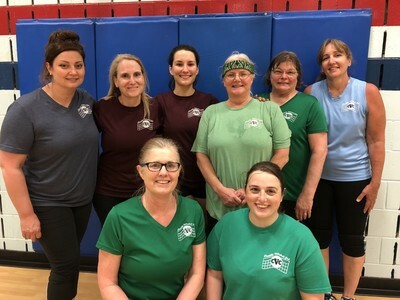 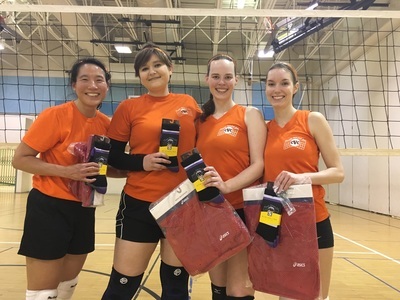 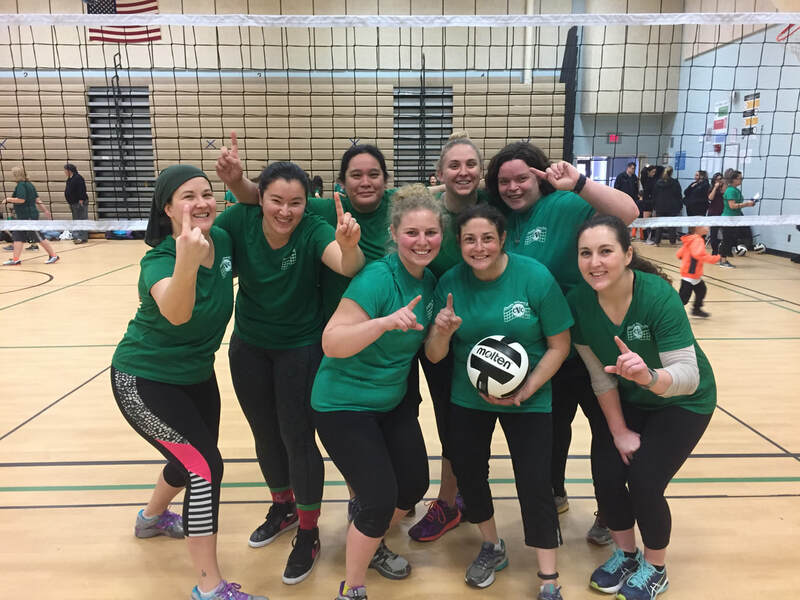 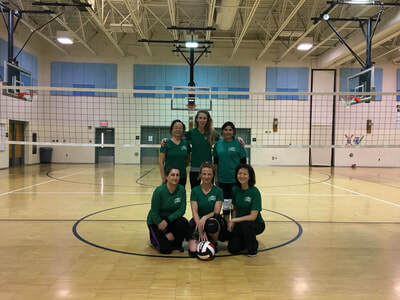 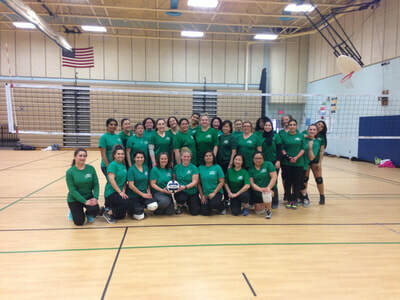 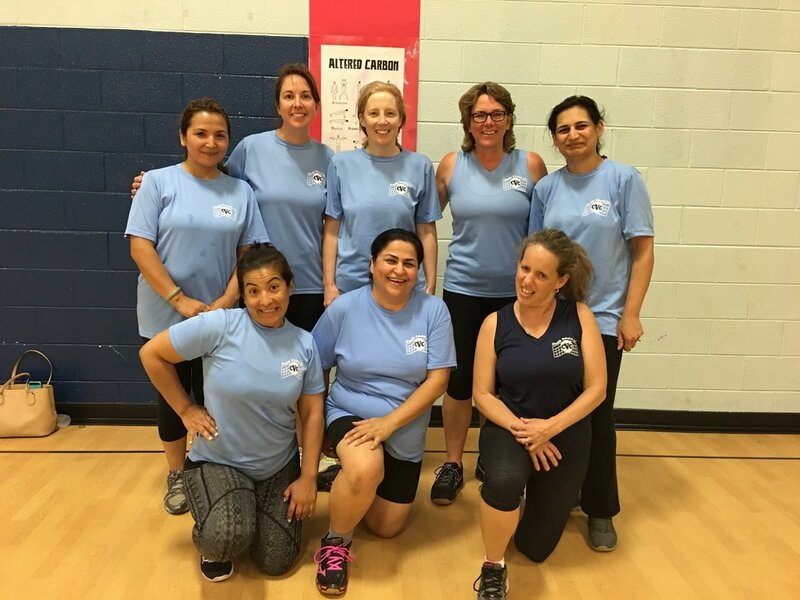 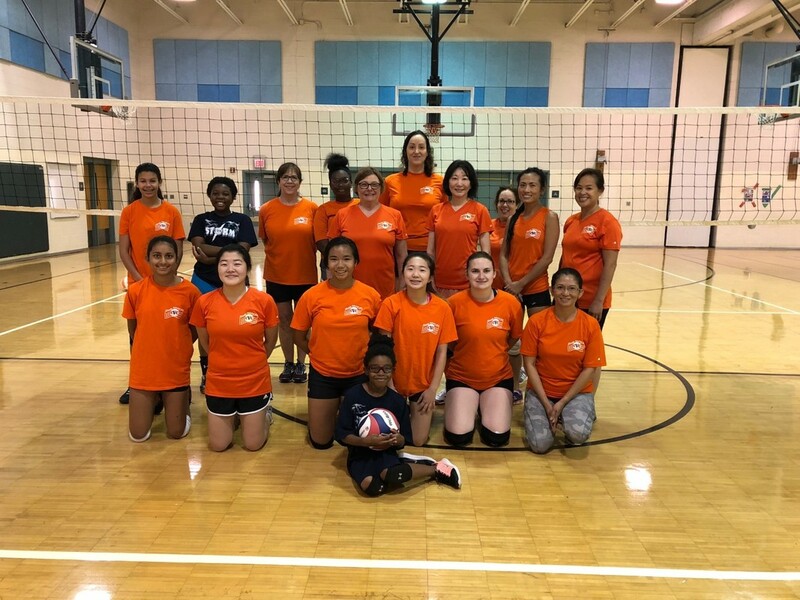 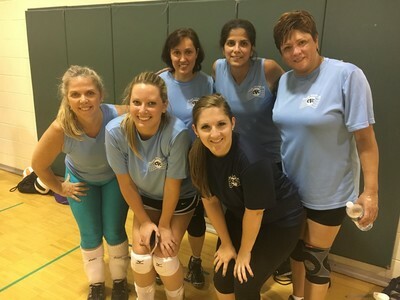 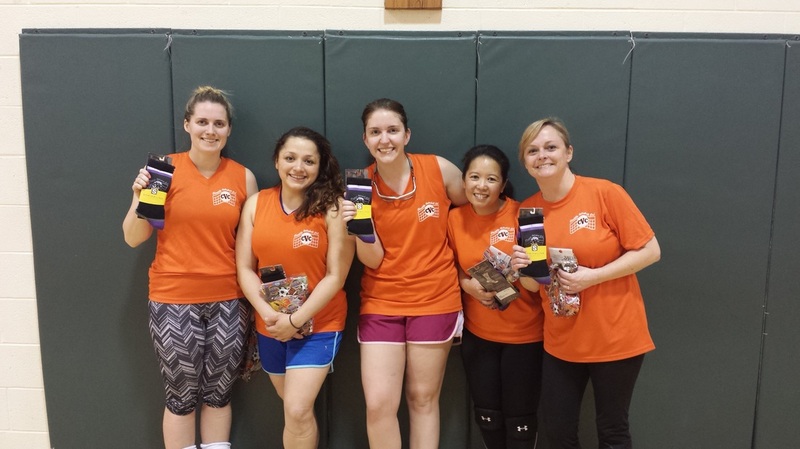 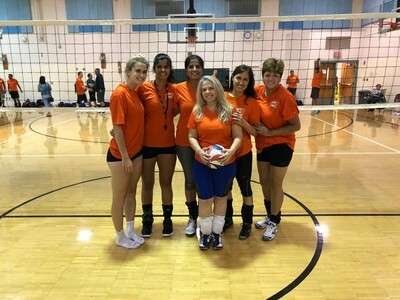 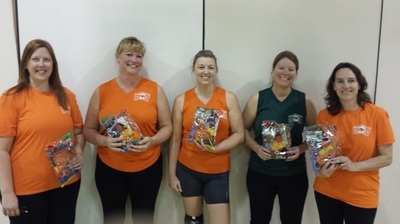 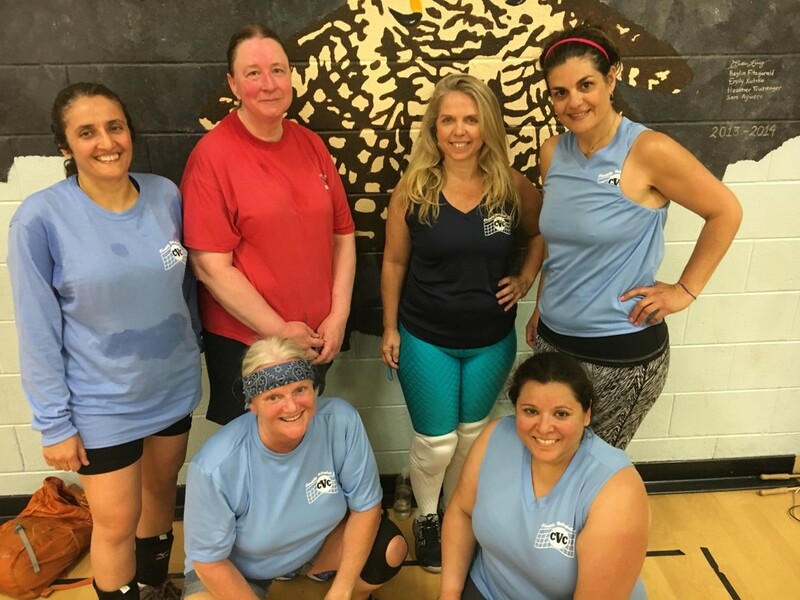 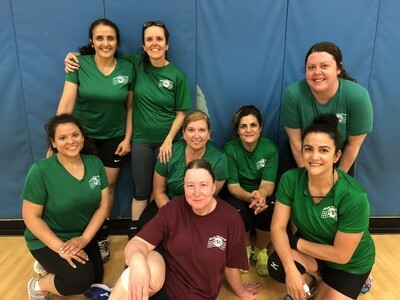 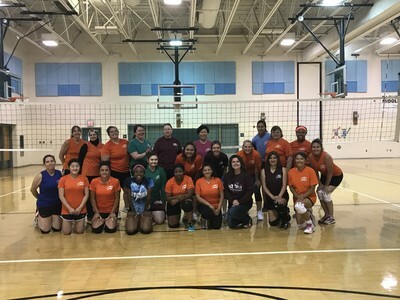 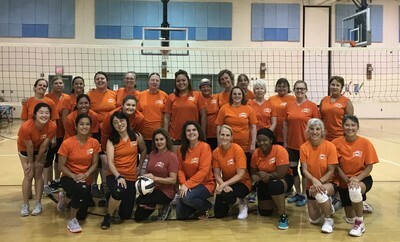 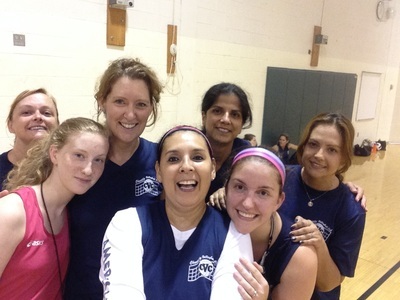 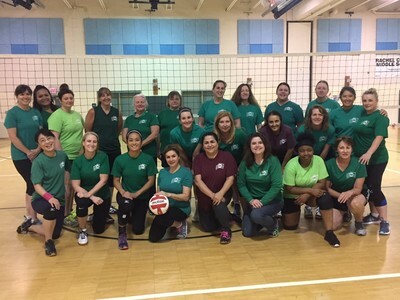 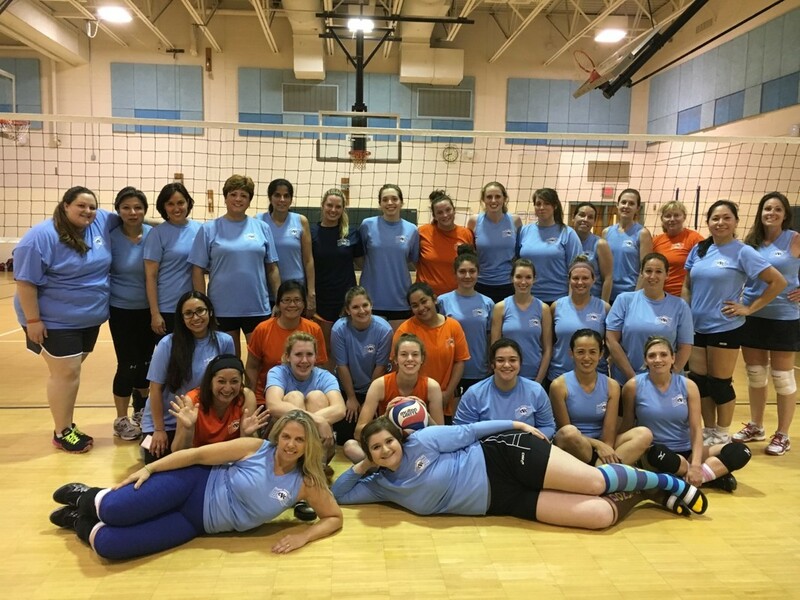 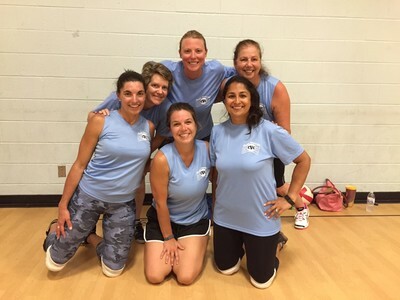 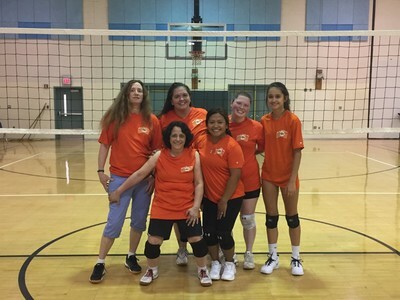 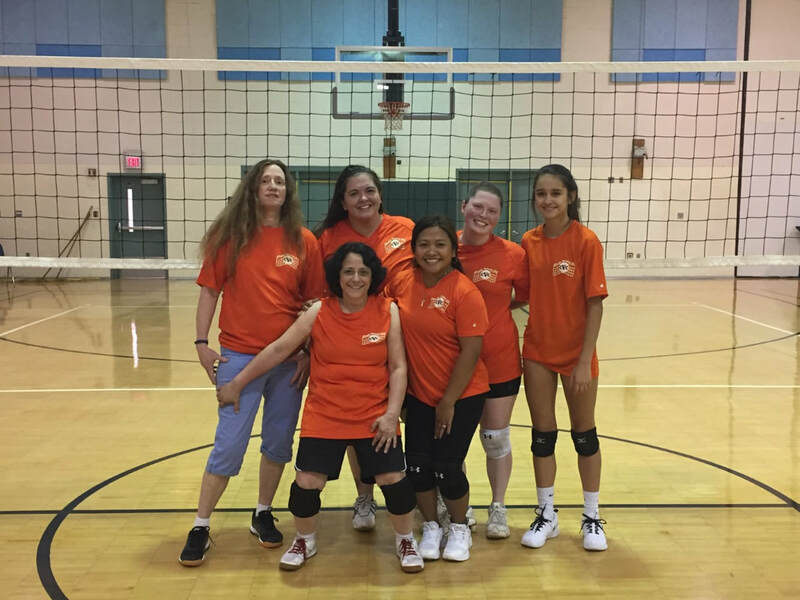 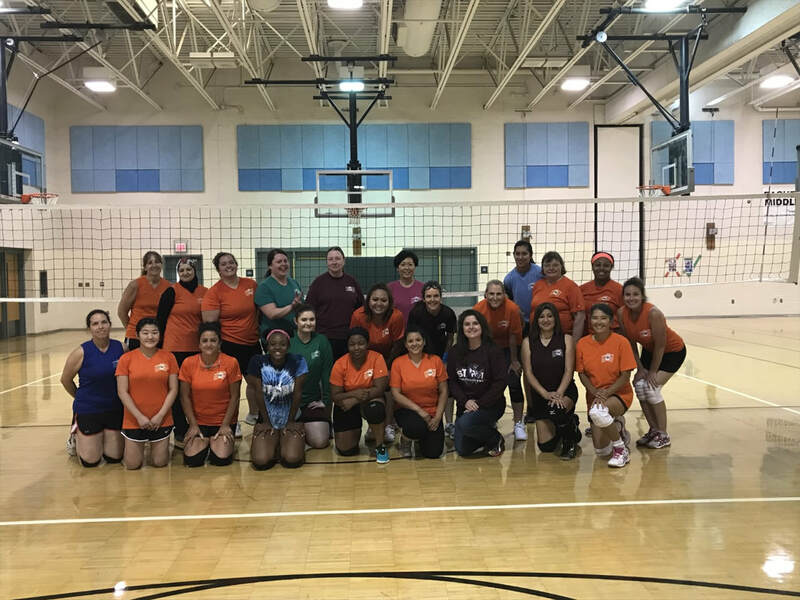 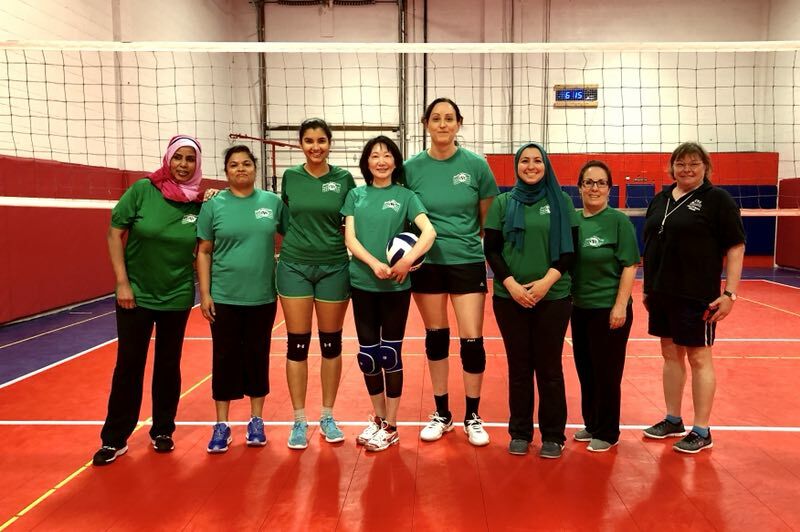 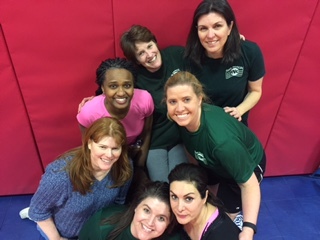 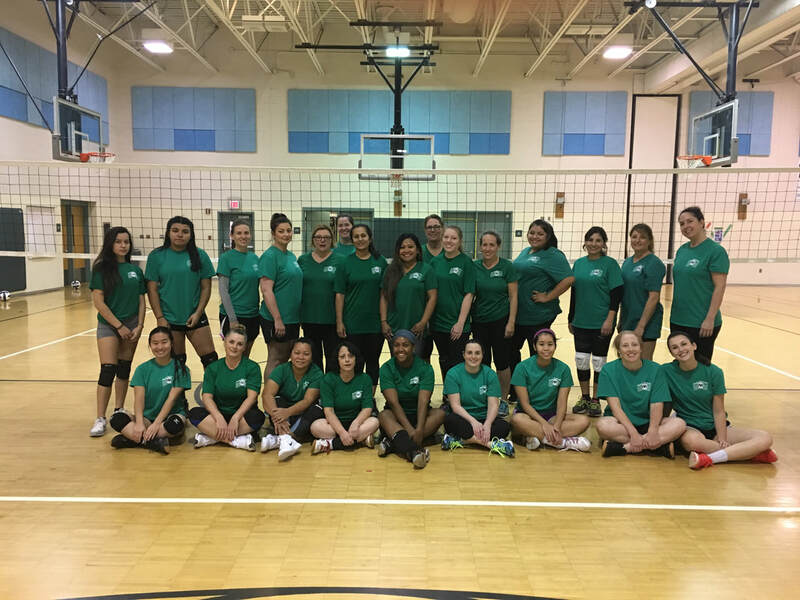 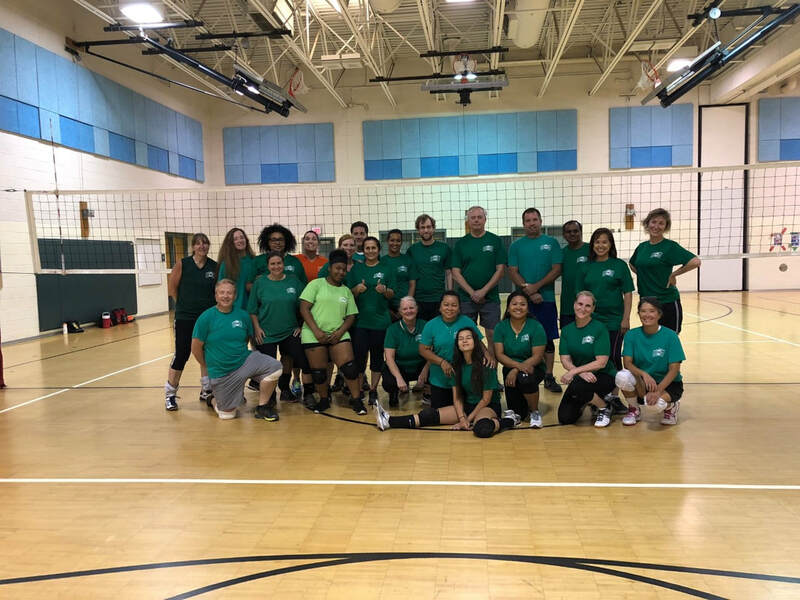 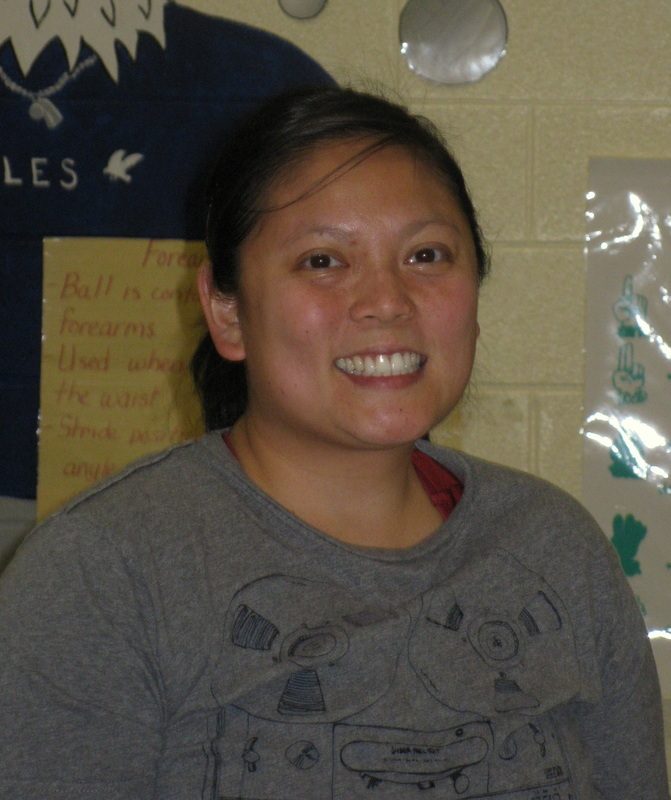 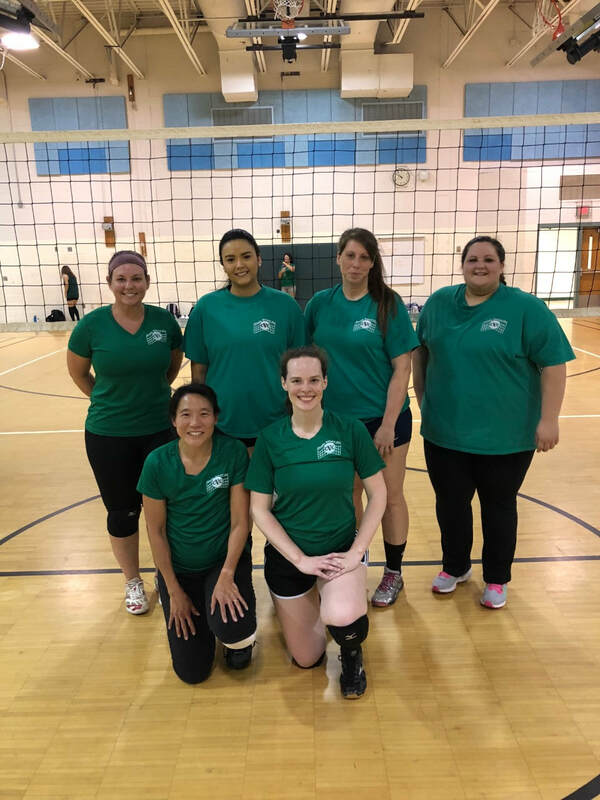 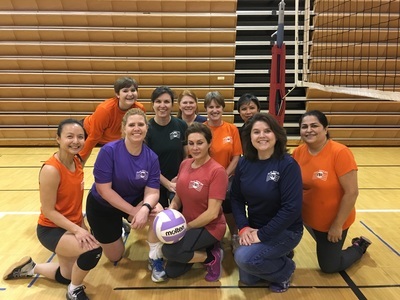 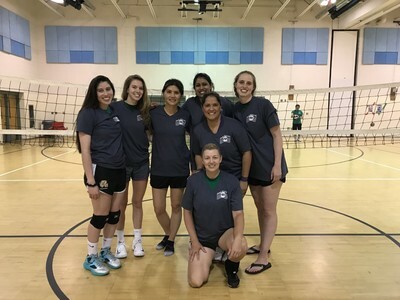 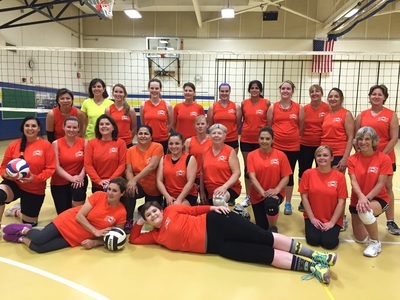 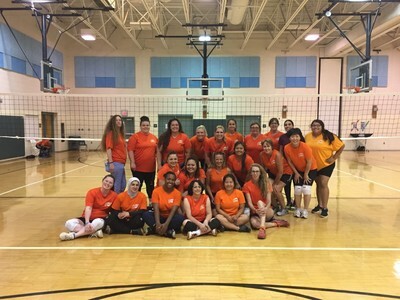 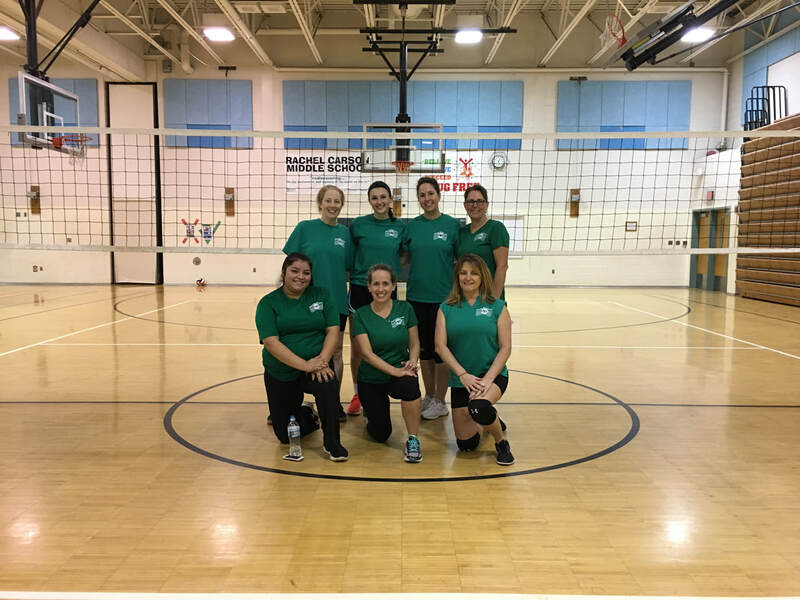 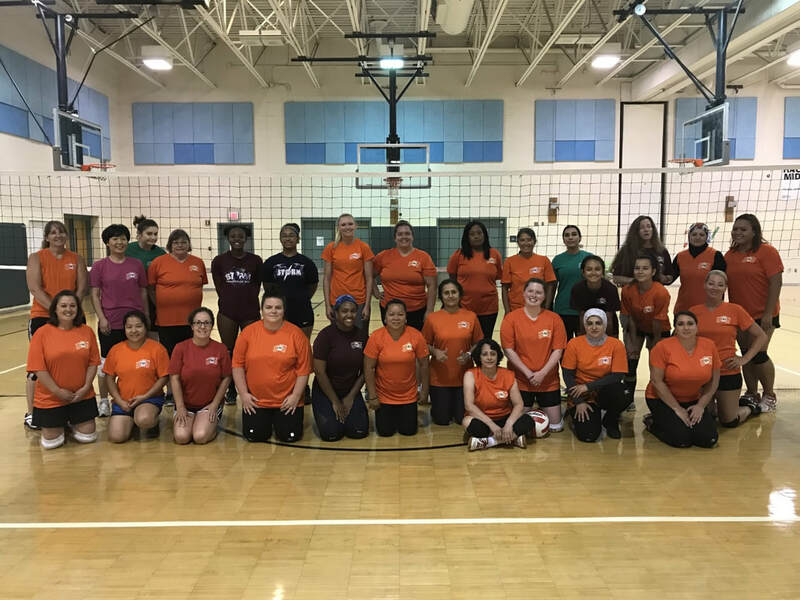 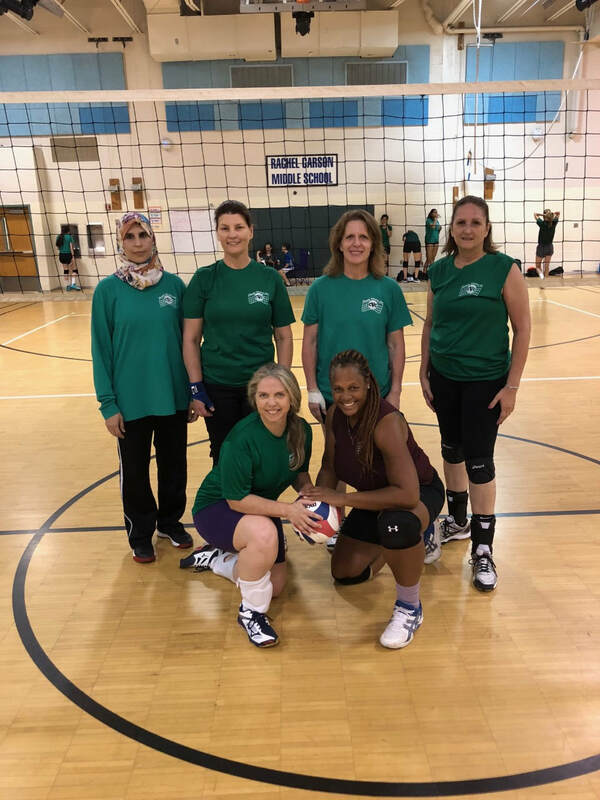 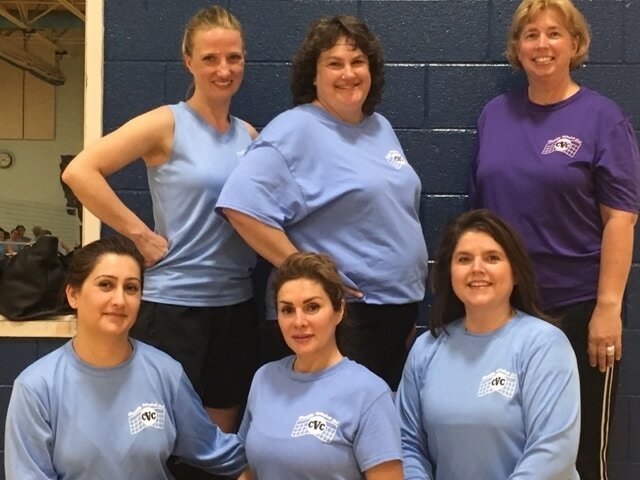 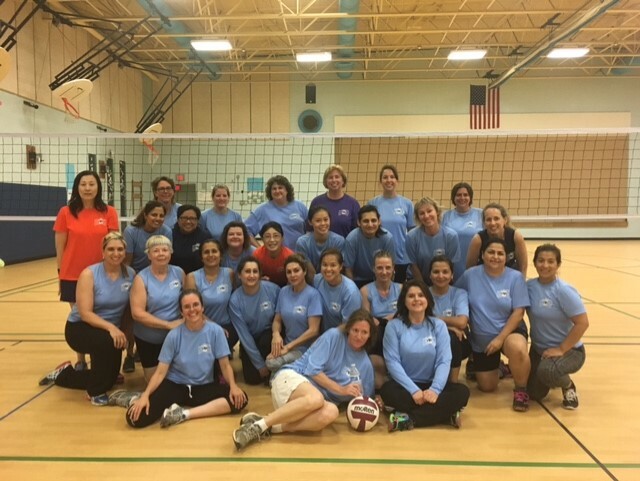 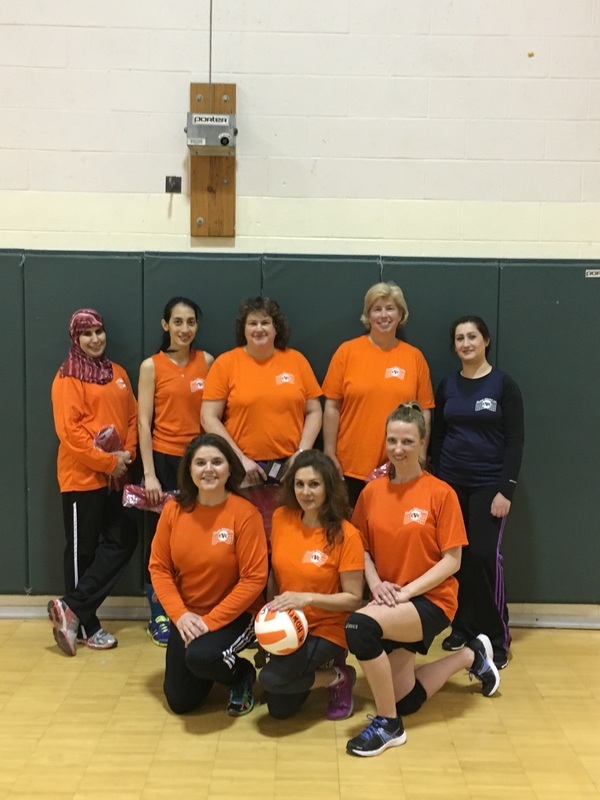 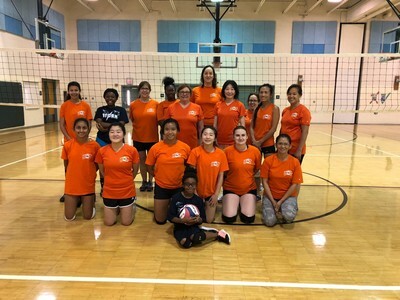 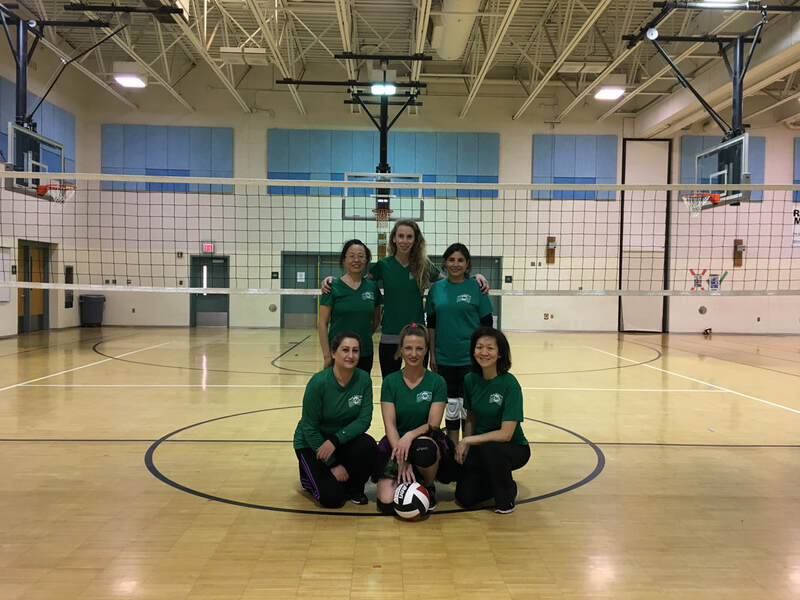 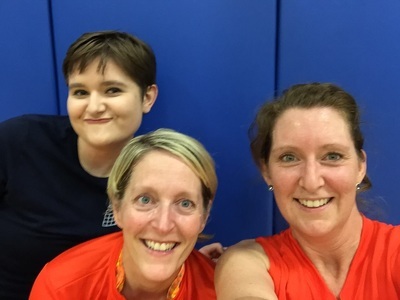 The B Level teams competed in pool play (two nights for each team) with the final night held on Thursday, 9 June at Rachel Carson MS. Congratulations Team 4 on their victory. 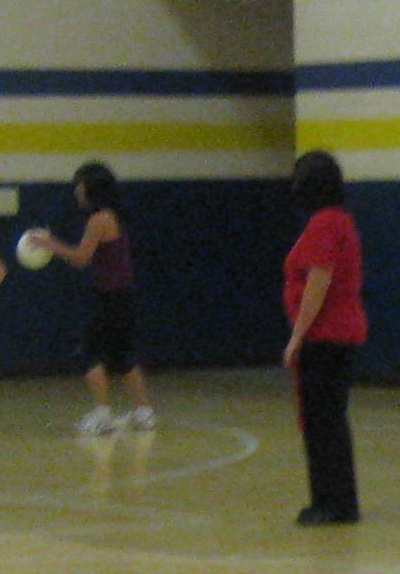 This season's tournament was a two-day event. 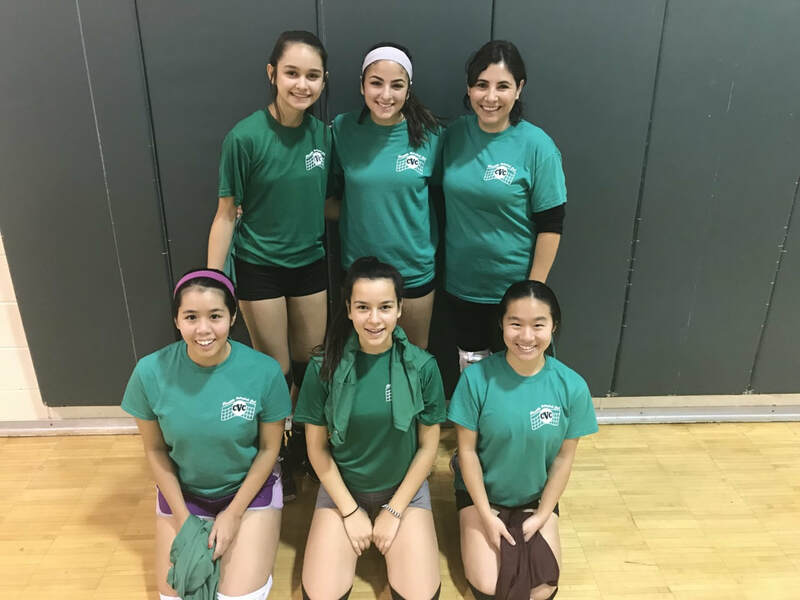 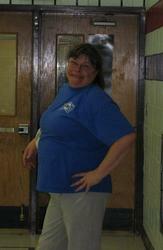 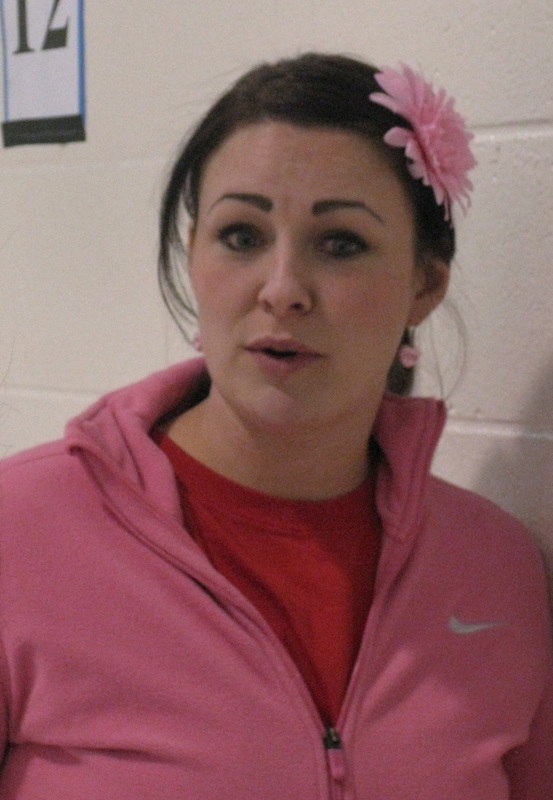 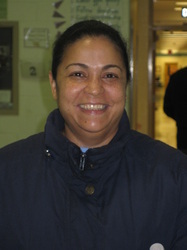 Seven of the eight teams competed in two pools to earn a place in the final tournament at Rachel Carson MS. Teams 3, 4, 5 & 6 competed with Team 3 finishing first, Team 4 finishing second, Team 6 finishing third and Team 5 - the club's most improved team - finishing fourth. 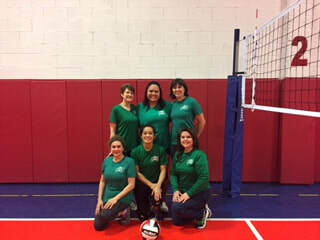 Thank you to the members of Team 1 and Team 7 that helped Team 3 during the final day of the tournament. 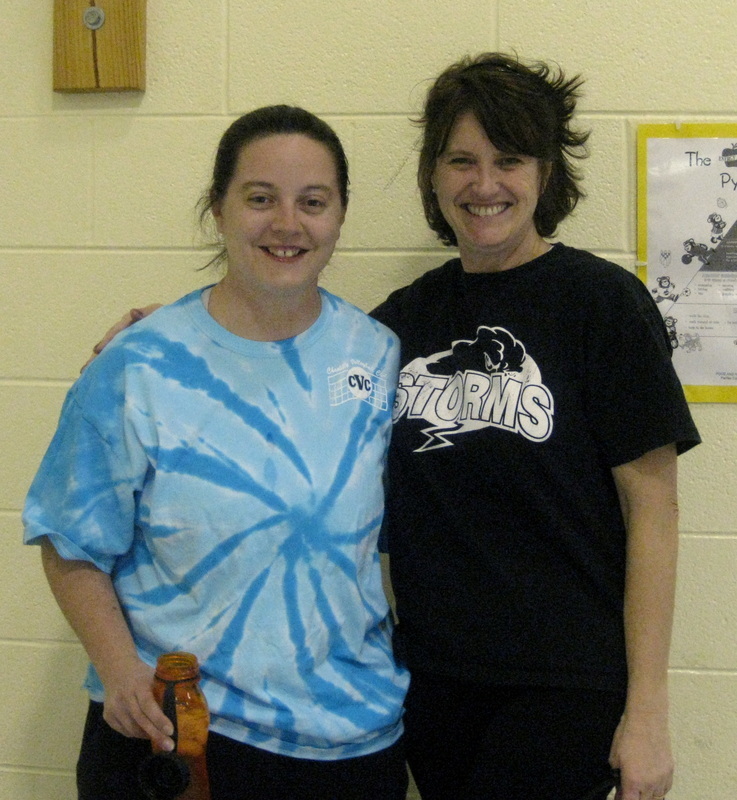 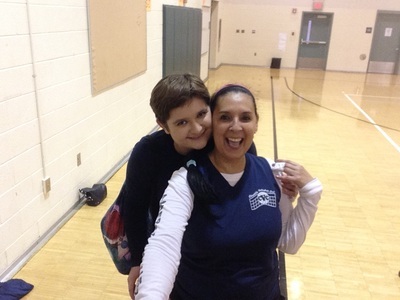 You showed excellent sportsmanship and a true love of the game! 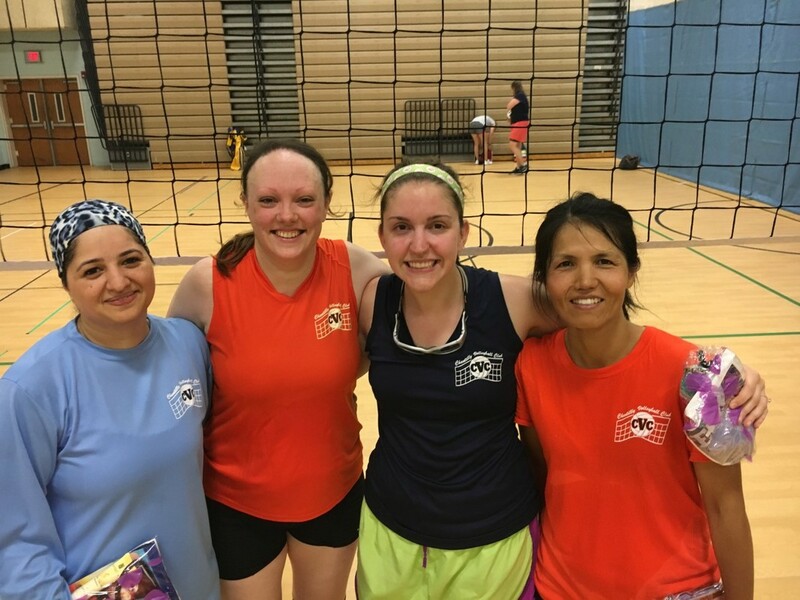 Congratulations Team 1 on winning the end of season tournament for the summer session. It was a very exciting evening with all four teams winning and losing sets to each other. 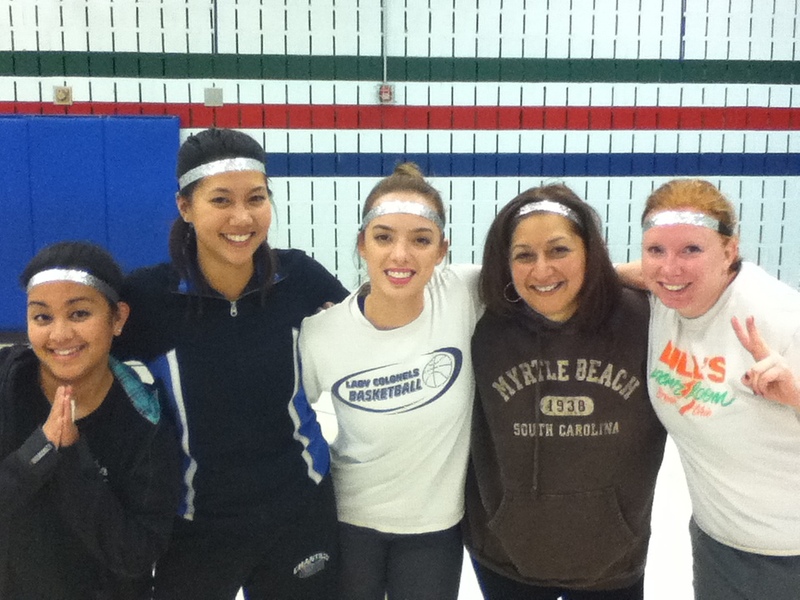 There was good sportsmanship and good fun. 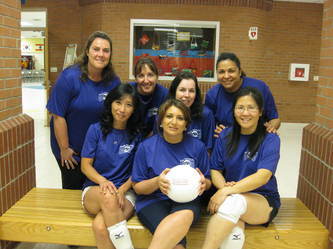 I hope each of you decides to return to participate with the league in the fall.